Picture this: I’m walking down the street in sunny San Diego with an iced almond latte in one hand, proudly sporting my stainless steel tumbler and straw. I feel as though I’m saving the world with my farmers market tote in the other hand. 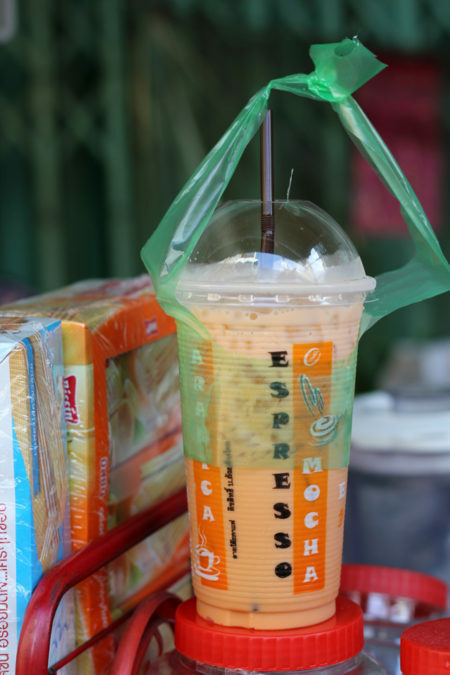 Fast forward one month and I’m ordering a Thai coffee in broken Thai for 30 baht from a street vendor. My stomach churns as I watch the smiling woman hand me a plastic cup with a plastic lid and a plastic straw. Then, my heart sinks further as I consider my environmental impact as she places the drink in some sort of plastic bag handle device. From the day I was born my parents engrained reduce, reuse, recycle, repair, or refuse into my mind. However, I never really considered how my habits back home would translate abroad. Having only spent one week here in Thailand I am constantly amazed by the prevalence of single-use plastic. There are plastic water bottles everywhere. At 7-Eleven they’ll give you a plastic straw in a plastic wrapper for your plastic drink bottle all held together in a plastic shopping bag. Or at a local market they’ll wrap your dried fruit in a plastic sheet, tie it with a rubber band, and place it inside another plastic bag. Even bananas come in plastic bags. And to think I was annoyed by the shrink-wrapped cucumbers at Trader Joe’s back home. Thailand is one of the most beautiful countries in the world—known for its tropical beaches, lush forests, high mountains, and glittering Buddhist temples. The various street vendors and markets on every corner allow visitors to support the local economy. They also have an amazing ecotourism industry where visitors can participate in sustainable travel. Visitors can opt for a homestay, support a humane elephant sanctuary, or volunteer with a nonprofit organization, such as our very own Rescue Paws. While Thailand has exceeded my expectations with its sheer beauty, pollution is still a very real issue. My first visit to the beach was quite a humbling experience. This particular beach was absolutely gorgeous with white sand and calm waves, but there were hundreds of tiny pieces of plastic stuck in the seaweed that washed onto shore. Yes, plastic is convenient. Yes, it is a low-cost option. Yes, there are other pressing issues besides the environment. But I think as both guests and educators in this country we can do something! By no means are things all gloom and doom here in Thailand. The country has definitely made some significant strides towards sustainability. Tesco sells reusable bags, local coffee shops provide discounts for bringing a reusable cup, most busy locations have recycling bins, and national parks recently placed a ban on plastic. 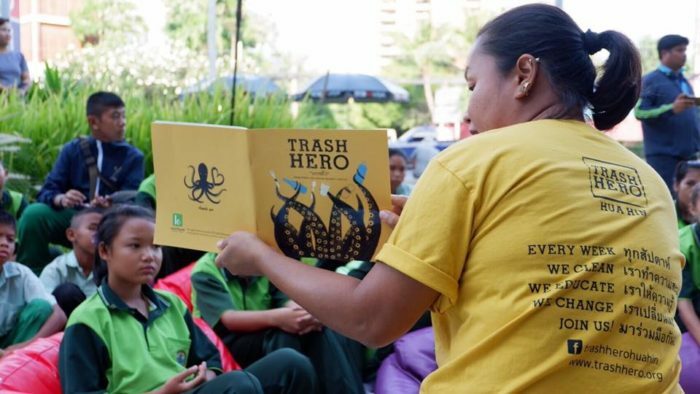 In 2013, a group of environmental activists in Thailand formed a nonprofit organization called Trash Hero with the mission to bring communities together by reducing waste through action and awareness. As of June 2018, more than 104,000 volunteers have removed almost 597 tons of garbage from beaches and cities across Thailand and ten other countries. There’s a chapter right here in Hua Hin that holds weekly beach cleanups every Sunday. This is a great opportunity to collaborate with the local community for a greater cause! Whether we are teachers, interns, volunteers, or just tourists in Thailand there are some small changes we can make in our new everyday lives here to help make a difference and lower our environmental impact. The first thing on everyone’s to-do list after arriving in Thailand should be to buy a reusable water bottle. I bought a large water jug and have been refilling it with clean drinking water at many locations around Hua Hin for 5 baht. Furthermore, we can purchase reusable shopping bags and take-away containers to use at local markets and street vendors. Most importantly, we can educate our students about how to reduce our environmental impact and the importance of minimizing single-use plastic. This global issue will affect their future unless we do something about it now! Many of our teachers have set up recycling bins and demonstrated to the students how to appropriately sort waste. We can and should incorporate sustainability into our lesson plans. For example, when learning the English words for animals we can teach students about marine life and what we can do to protect them. In addition, during a lesson about household items we could play fun games that teach them about saving water and energy. By teaching in Thailand, we have the ability to encourage our students to discover other ways to protect the planet. During XploreAsia’s overseas in-class TESOL training participants will learn different activities and lesson plans to encourage conservation. Since this is a cross-cultural experience, your students may even come up with some ideas that you haven’t considered. Let’s work together to make a difference and preserve Thailand’s natural beauty! 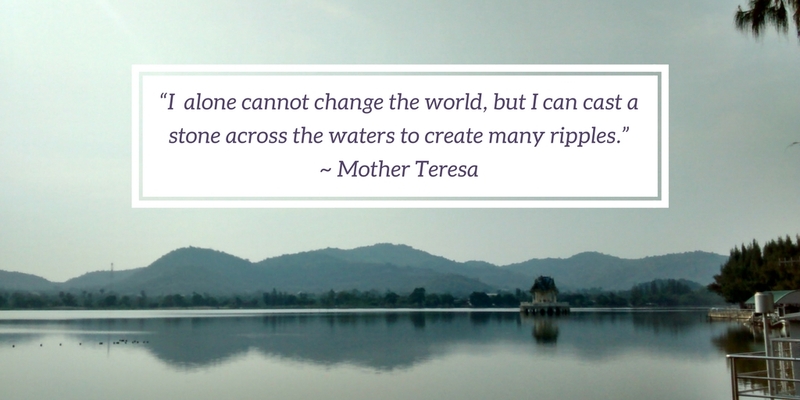 At XploreAsia, we are dedicated to helping people discover the life-changing adventure of working and volunteering abroad. Our aim is to provide cross-cultural interaction that fosters greater empathy and wisdom. Furthermore, we believe there are countless reasons why you should volunteer your time to a worthy cause. XploreAsia has built a relationship with the Pala-U orphanage over the last four years. It is located in the remote village of Pa Den about an hour and 40 minutes west of Hua Hin, near the Myanmar border. The orphanage is home to 24 kind, caring, and energetic children ranging from age 6 to 17. Our leaders, Mike and Paang, generously donate money, supplies, and tools to the orphanage regularly so that they can live sustainably. The children at the orphanage depend on donors and sponsors to receive proper education, nutrition, and medical support. Our visits to the Pala-U Orphanage embody six main reasons to volunteer: create lasting connections, improve social skills, build self-confidence, find a sense of purpose, practice valuable job skills, and feel a sense of fulfillment. It is important to highlight that each of these aspects is a mere side-effect of volunteering. One should never expect anything in return but instead, approach each experience with an open heart and mind. 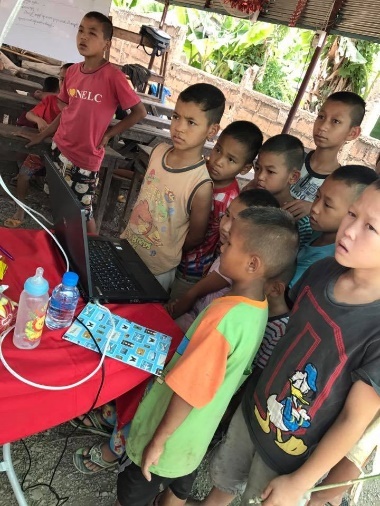 Every month a group of participants and staff members venture to the Pa Den village to play games, teach English, and connect with the children. It’s important to build consistent interactions so that the children have the opportunity to bond with new people while also seeing familiar faces. Volunteers work alongside both Thai and western XploreAsia staff members and other participants from all over the world. They collaborate to choose appropriate physical and mental games to play that the kids will enjoy. They also must adjust their conversations and games to accommodate the age level and English proficiency of each child at the orphanage. Whether you’re a staff member, teacher, camp counselor, intern, or volunteer, you must step into a leadership role. You are the English expert and it is incredibly valuable! XploreAsia has the resources and experience to spread that knowledge with members of our local community. It’s up to us to share this skill with others and ensure that they have a positive, impactful experience. Volunteers can directly impact the lives of these children. This interaction helps build the Thai children’s social skills and confidence in English. They get the chance to connect with native English speakers of all different ages and backgrounds which will help them in future education and occupations. Many people visit Thailand and never explore outside of the tourist hotspots. 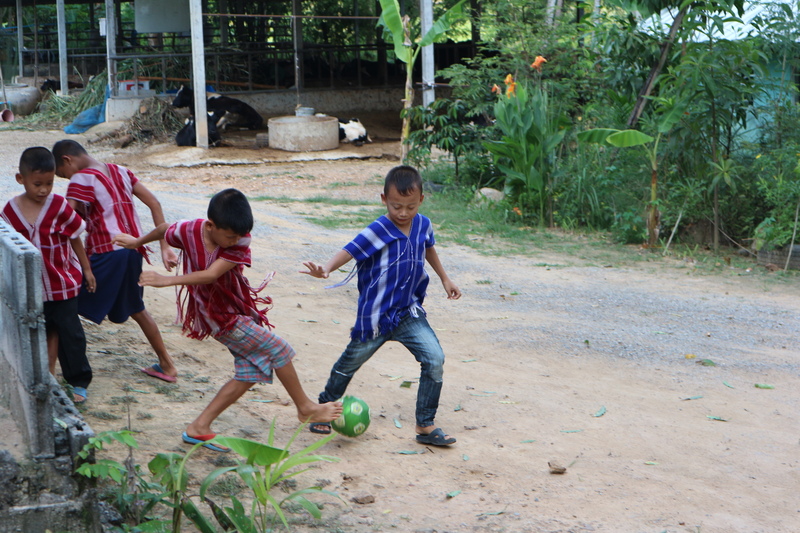 On this lush farm, volunteers have the chance to play and laugh during duck duck goose, telephone, or street soccer with extraordinary kids. There’s a sense of pride and happiness that comes from taking time out of your day to service someone else, with nothing in return. These children teach volunteers about the value of community, teamwork, and friendship. Pala-U Orphanage – reach out to us if you’d like to volunteer, donate, or sponsor. 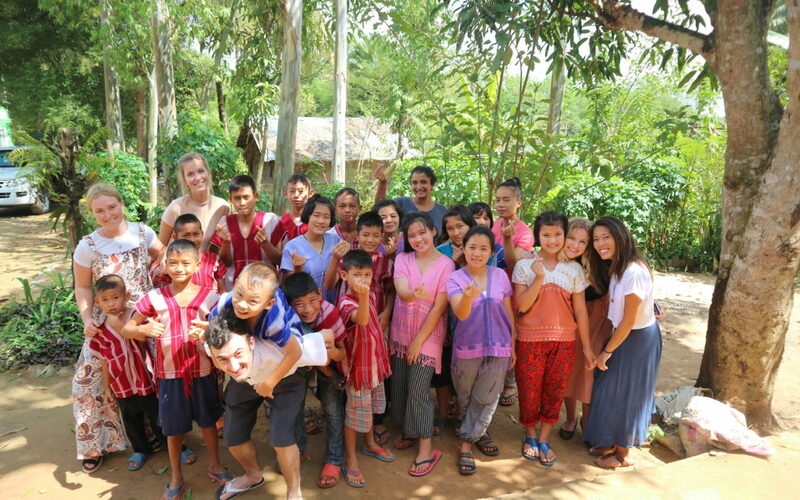 Camp Counselor Program – Travel across Thailand to help underserved students acquire the skills needed to improve their lives and communicate across cultures. 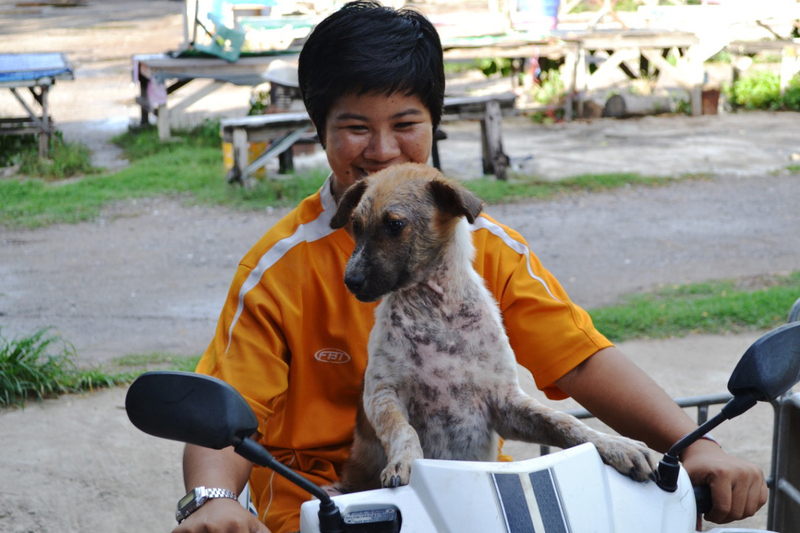 Rescue Paws – Make a huge difference to the lives of the stray animals in Thailand. There are many ways to get involved: volunteer, day program, flight volunteer, adopt, donate, sponsor, educate others, and more. 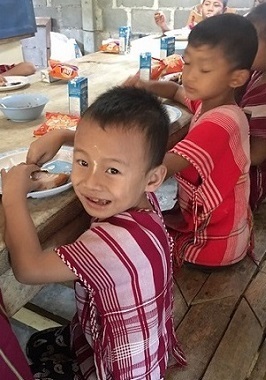 Monastic Teaching Program: Improve the lives of Myanmar by teaching English to a mixture of monks, novice monks, nuns, orphans, local adults, university students, and children from disadvantaged communities. Everybody can be great. Because anybody can serve. You don’t have to have a college degree to serve. You don’t have to make your subject and your verb agree to serve…. You don’t have to know the second theory of thermodynamics in physics to serve. You only need a heart full of grace and a soul generated by love. 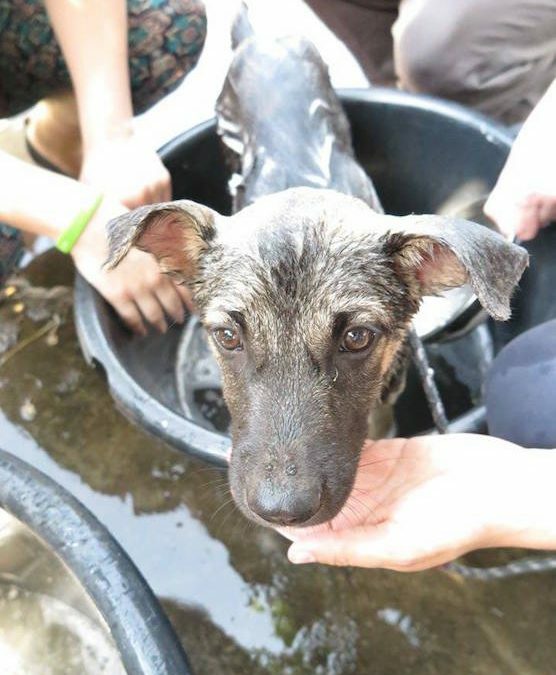 In 2013, XploreAsia co-founded Rescue P.A.W.S., an animal relief organization based in Hua Hin. 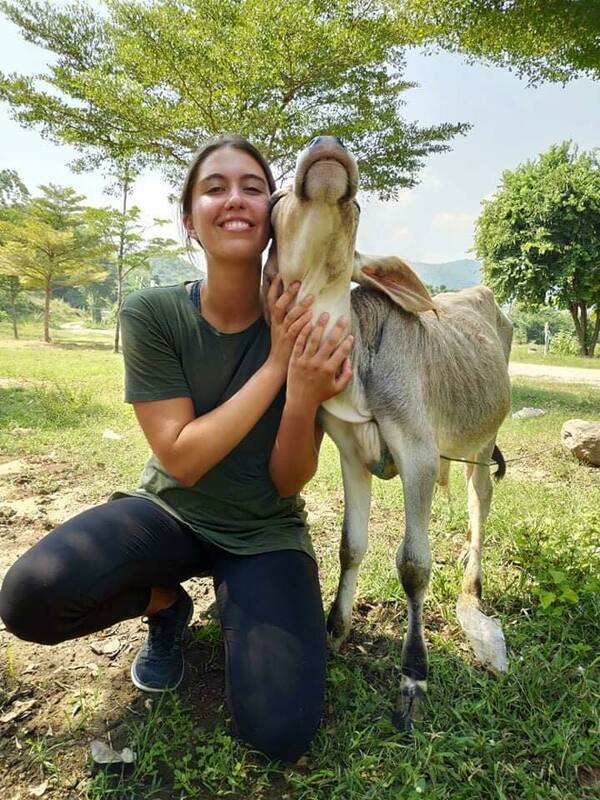 This creates a unique opportunity for animal lovers to volunteer in Thailand while also contributing to our mission at XploreAsia. Rescue P.A.W.S. is made up of full-time staff and a group of volunteers who carry out the daily tasks of the on-site kennels, clinic, and play area. 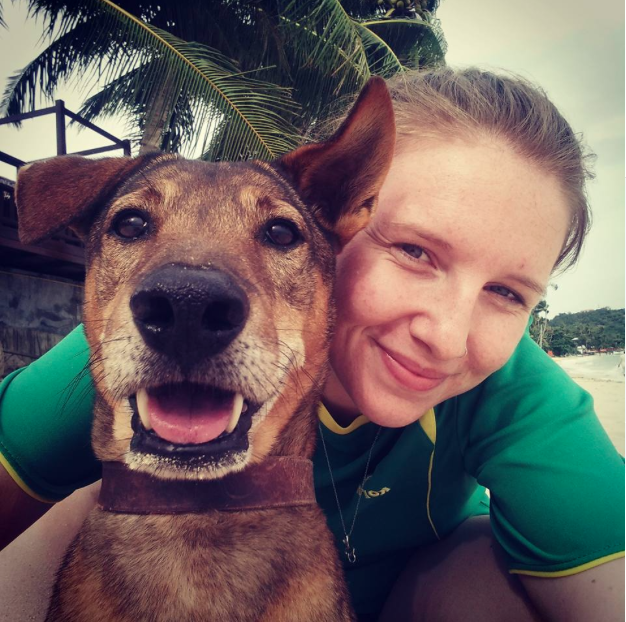 The team is a tight-knit unit who live and breathe passion towards animal care, often going above and beyond what is needed by the innocent canines. 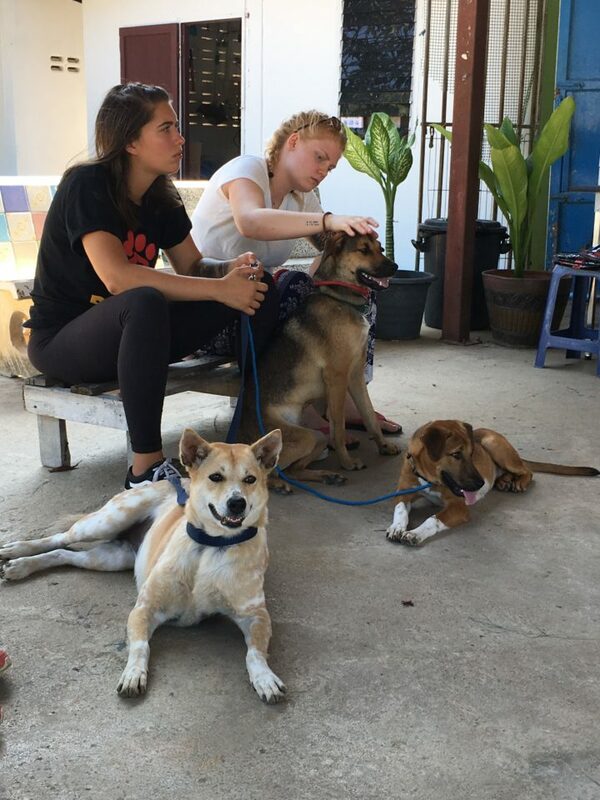 Our volunteer programs provide you with a life-changing opportunity to make a big difference to the lives of the stray animals in need of care, whilst also offering you a rich holiday experience soaking up the authentic culture in one of Thailand’s must-visit destinations. As marketing interns for XploreAsia, we took the opportunity to volunteer alongside the Rescue P.A.W.S. team for the last two days. After getting to know these two rockstar volunteers, we have a much greater understanding of the passion and dedication that is required to be a Rescue P.A.W.S. volunteer. How did you find out about Rescue P.A.W.S.? K: I originally wanted to teach English abroad. So after a quick Google search, I found XploreAsia. Through them, I discovered Rescue P.A.W.S. and decided to volunteer in Thailand with animals instead. I hadn’t heard of Rescue P.A.W.S. until then, but I follow many similar animal welfare accounts from all over the world on social media. S: I learned about this opportunity through Global Work & Travel. I did a work program through them previously and had a great experience. I knew that I wanted to volunteer in Thailand next so I was browsing the Global Work & Travel programs and found Rescue P.A.W.S. Do you have any previous experience working with animals? K: Yes, I was a secretary at a local animal rescue in my town. I’ve also fostered dogs in the past and have always been an animal lover. S: Yes, I’ve always loved working with animals and knew that I wanted to work with animals since I was 5 years old. Back home I worked in a few different vet clinics but wasn’t exactly sure what kind of work I wanted to do with animals in the future. My time at Rescue P.A.W.S. has helped me figure out more of what I want to do, which is pursuing vet school! K: I think my favorite part of the day is having one-on-one time with the dogs that are the most timid. It’s amazing getting to know the dogs. Oh, and I love teaching them tricks! S: Afternoon activities are my favorite because it’s different every day. It could anything from training the dogs, feeding stray dog packs, befriending these packs, bathing the dogs, parasite treatments, Thai cooking, surgeries, etc. Our mornings are pretty routine but we never know what we’ll be doing in the afternoon and if it’s a surgery, we get first-hand experience with the vets. K: Seeing dogs slowly come out of their shell. Throughout my time here I’ve been able to build relationships with each of the dogs. Most of them are quite shy and timid in the beginning, but after spending time with them every day their personalities begin to shine through. S: Returning dogs back to their packs. For me, experiencing the whole process from start to finish is quite amazing. It can take a long time to befriend a local pack, so when you’re finally able to pick up an unsterilized or injured dog, bring that dog into the clinic for testing, surgery, rehabilitation, and then returning that dog back to their pack feels really good. You know you’re making a direct impact on that animal. K: The biggest challenge for me is finding wounded street dogs and seeing them in pain. We actually found Pudge during one of our feeding runs with a wild pack. His foot was cut and he came right up to us. Usually, the dogs are so scared that they won’t come anywhere near you but this cute puppy needed our help. Also, I see dogs in a different way than back home. It’s just a completely different society. Back home, if you see a stray dog you post about it on Facebook and the owner claims it. Here it’s different. There are soi dogs everywhere and they can generally take care of themselves. S: It’s challenging to be continuously working with different dogs. There are a lot of dogs here in Thailand that need our help and we only get a certain amount of time with each dog. So, it can be difficult to maintain consistent training and bonding with each dog since they are often rotated between volunteers, adopted, or are returned to their packs. K: I don’t know. Maybe Lamb or Bohdi. Lamb was the first dog that I able to work with so it was the first real relationship I built. But then there’s also Bohdi. I sat in his kennel with him when he first got here. He was so scared and I eventually helped him feel more comfortable. But it’s hard to pick favorites because we have little relationships with each animal and they’re all so different. 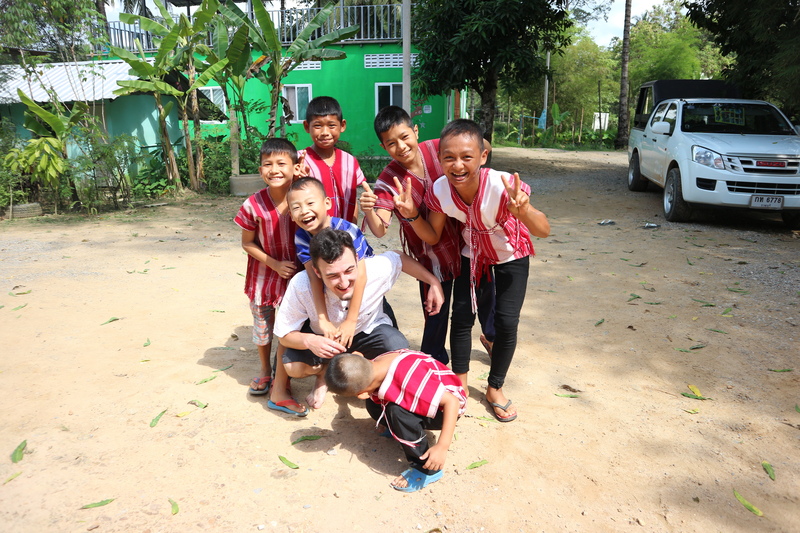 Do you have any advice for a future volunteer in Thailand? K: Don’t come here with any expectations. You’ll be challenged a lot, so I advise everyone to come in with an open mind. You’ll be challenged on things you thought you knew when it comes to animals. I came in thinking I could save them all but you simply can’t. But what they’re doing here has made a significant impact in their community. S: Definitely be open minded. Traveling, in general, is always going to be full of unexpected challenges and it’s a mind game to overcome them and make the best of any situation. Your experience is going to be what you make it, so be open minded. Thank you so much Kennidy and Shari for all of your hard work! Rescue P.A.W.S. wouldn’t be able to thrive without all the help that we get from our amazing volunteers. Teach Abroad with the XploreAsia Family! 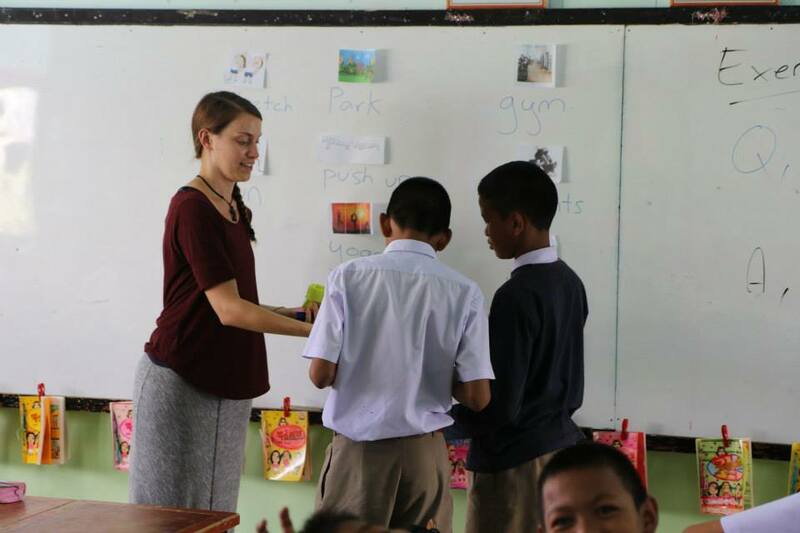 XploreAsia is passionate about changing lives and embracing adventure through teaching abroad. 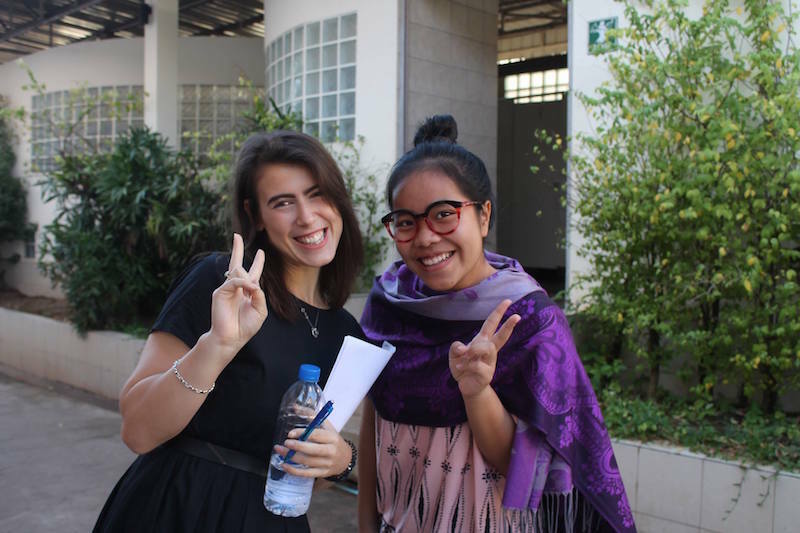 This passion comes from the staff themselves, many of whom have been teachers previously before joining XploreAsia to help facilitate other people’s journeys across Asia. 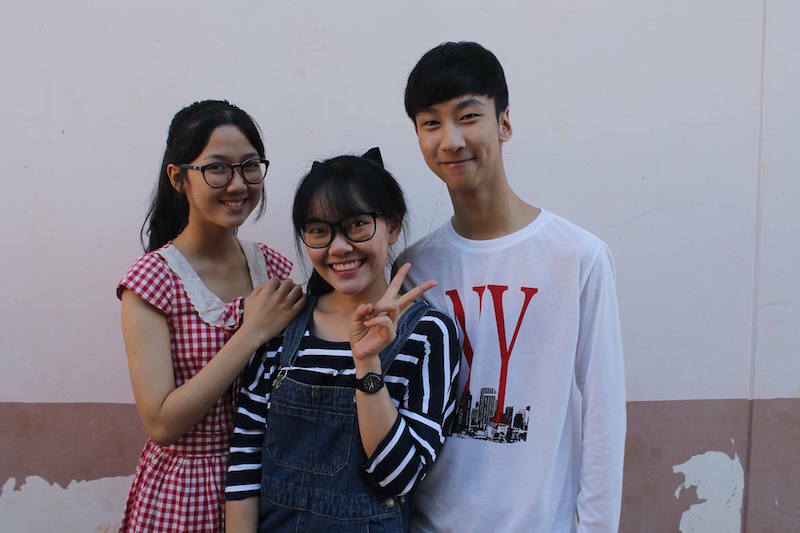 The XploreAsia staff make up a diverse family that not only supports one another, but also cares deeply about the teachers taking their accredited TESOL course and the surrounding community. Each staff member of the XploreAsia family has a unique story that has brought them to work for XploreAsia, and we’re delighted to be able to share some of their stories with you! Taking a selfie with one of her adorable rescue dogs! Becca is a proud team member of the programs department. When she’s not helping our participants prepare for their unforgettable experience, and taking care of her three dog children, she is often found volunteering and helping animals. 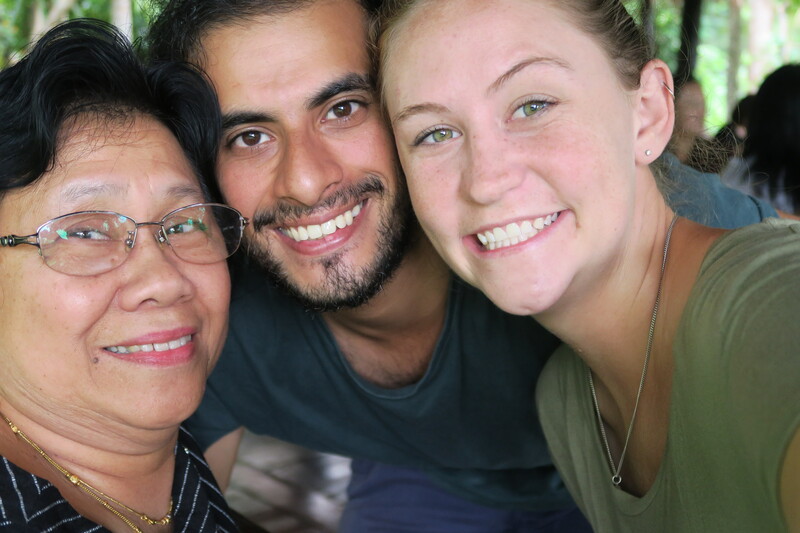 As a matter of fact, volunteering is what brought her to Thailand. 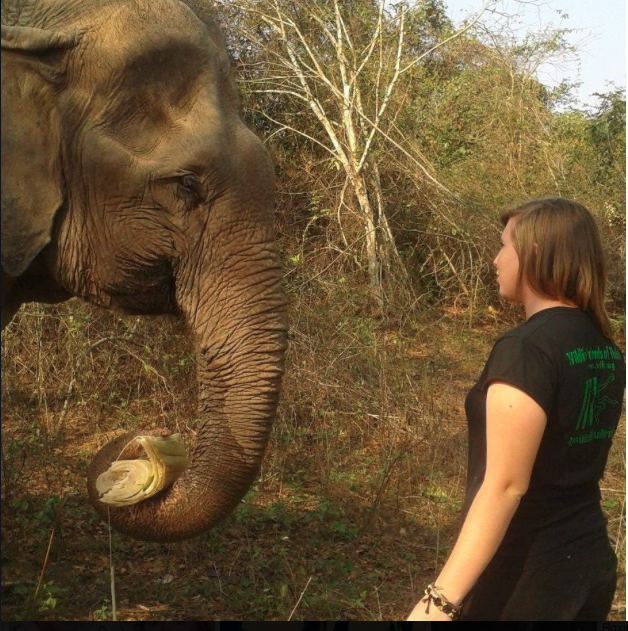 She saw an opportunity to volunteer with rescued elephants and went for it. 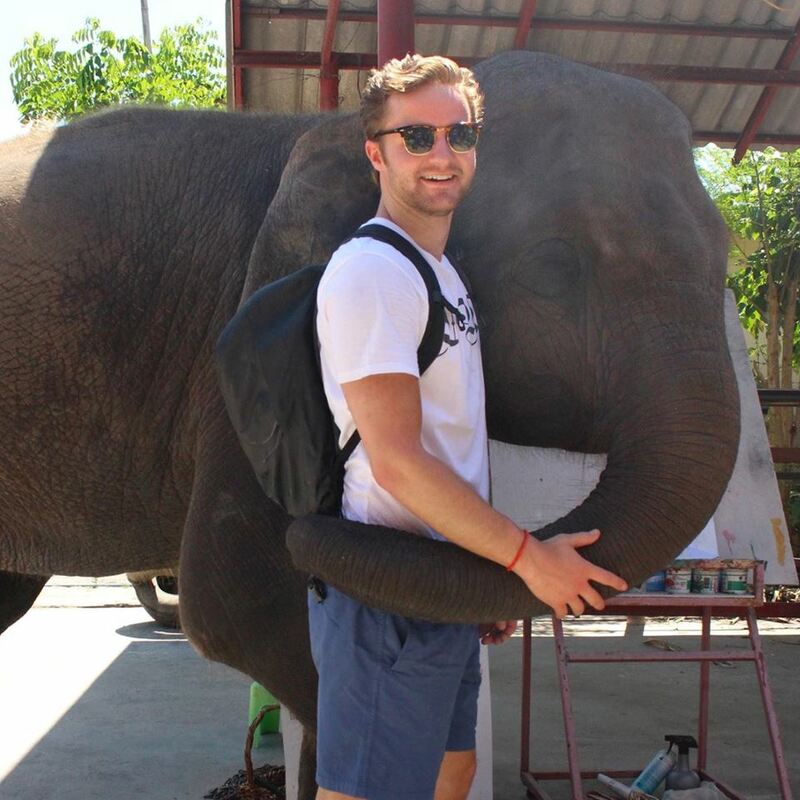 This hands on volunteering experience led her to work in marketing, public relations, web management, and as a volunteer coordinator for the Save the Elephant Foundation. However, Becca didn’t stop there! She ventured out even further and decided to teach abroad. 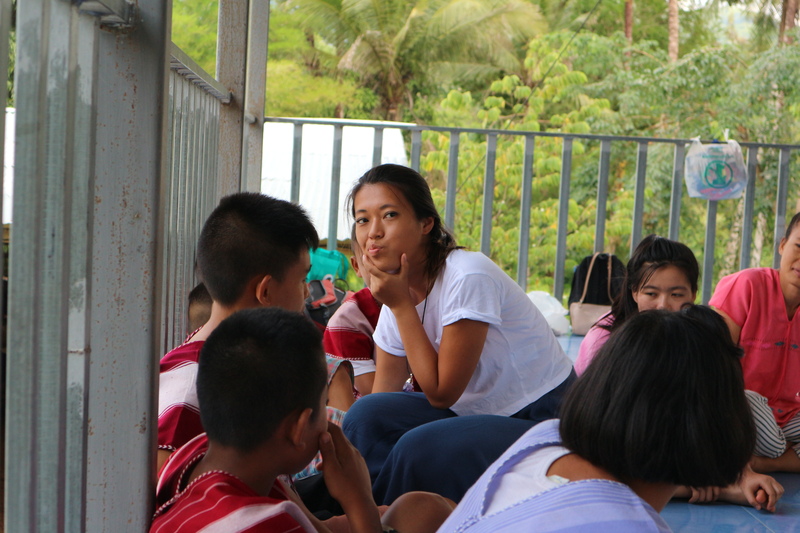 She became an XploreAsia participant, completed her TESOL course, and taught English in schools around Thailand. 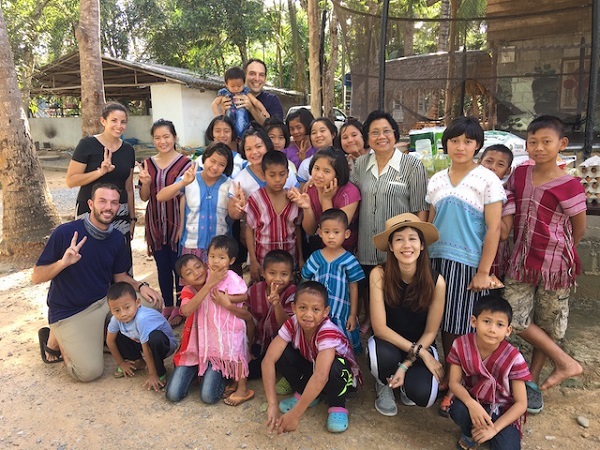 Her adventures in Thailand have brought her to work for the XploreAsia family. When asked why she wanted to work for XploreAsia, she simply stated “I had a great time as a participant. I appreciated the support that was given by the team. Not only do they help individuals become teachers, but they also create a support system after they are placed”. XploreAsia is ecstatic to have her adventurous soul as part of the family! Ae receiving some love from an XploreAsia teacher! Another outstanding member of the XploreAsia team is placement coordinator Mananya, also known as Ae. She forms part of the extremely committed placement team at XploreAsia that is dedicated to finding participants the best possible teaching jobs in Thailand. Ae is originally from Phang-nga, Thailand but has lived in Bangkok, Phuket, and Krabi. She has previously worked in the fields of education, tourism, and healthcare. Surprisingly, Ae came across a position at XploreAsia by accident. She decided to move near the Hua Hin area to take care of her mother and found an opportunity nearby in a multicultural company. For Ae, XploreAsia is not your typical company, she states “It feels like family, we’re all close, and we are open to share our thoughts when we work”. Ae enjoys walking in every morning and being received with warmth by the staff and the adorable dogs that make great companions while at work. The XploreAsia staff family feels like it was meant to have Ae as part of the team. Nom Sod doing what he does best, relaxing and being adorable! One of the most loved members of the XploreAsia family is Nom Sod. Nom Sod has been at XploreAsia from the beginning, and not only is he loved by the staff, but all the teach abroad participants that have the privilege of meeting him. Nom Sod is a rescue dog adopted by XploreAsia founders, Mike and Paang, who say he had boundless energy. Nowadays, you can often find him relaxing and taking naps around the building, although he still loves all the attention from the participants. Nom Sod and his furry friends Pumpkin and Pudding work hard in keeping a smile on everyone’s faces. These extra members of the team are the key players of making XploreAsia feel like home. All of our team work to ensure all participants get to enjoy the benefits of teaching English abroad. 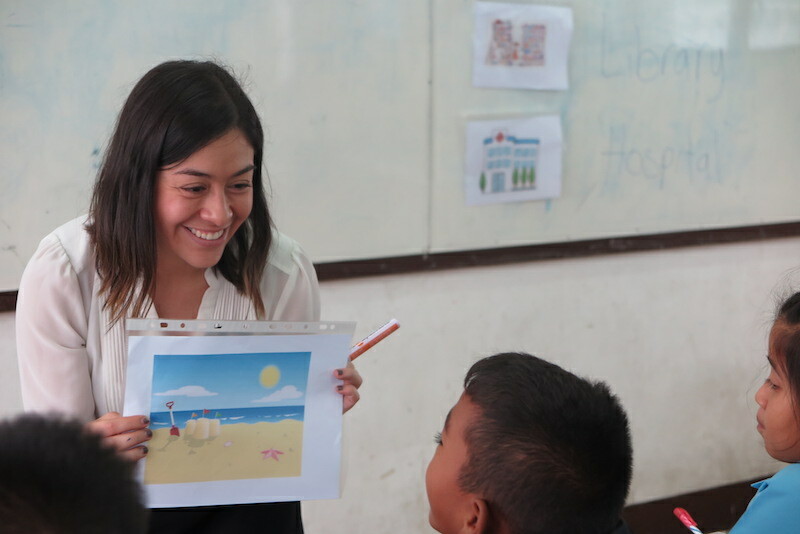 Although all their stories are different, they all share the same passion for teaching English, traveling and giving back to their local communities. Participants who train and teach with us not only leave prepared to teach, but they also gain a brand new family abroad through XploreAsia. We believe that there is nothing more important than having a good support system, and we’re pleased to be able to provide that. If you are interested in learning more about XploreAsia, visit our website and follow us on Facebook to keep up with the adventures of the XploreAsia family. As well as training and placing teachers to work abroad, XploreAsia are also passionate about contributing to the local community. Stray dogs are unfortunately extremely common in Thailand which means there are thousands of animals at risk of starvation, abuse and in need of medical treatment. 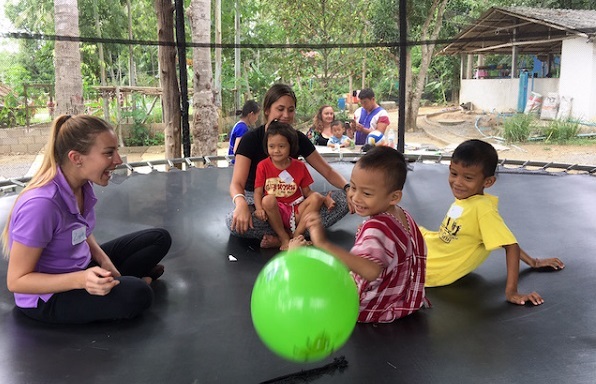 In 2013, XploreAsia and their Australian partners Global Work and Travel decided to do something about it. From humble beginnings as purely a feeding project, the Rescue Paws foundation now has an on-site veterinarian, Dr Aye, to provide emergency medical care and vital sterilisations as well as a dedicated team of volunteers who help coordinate international adoptions and take care of the street dogs the organisation takes in. 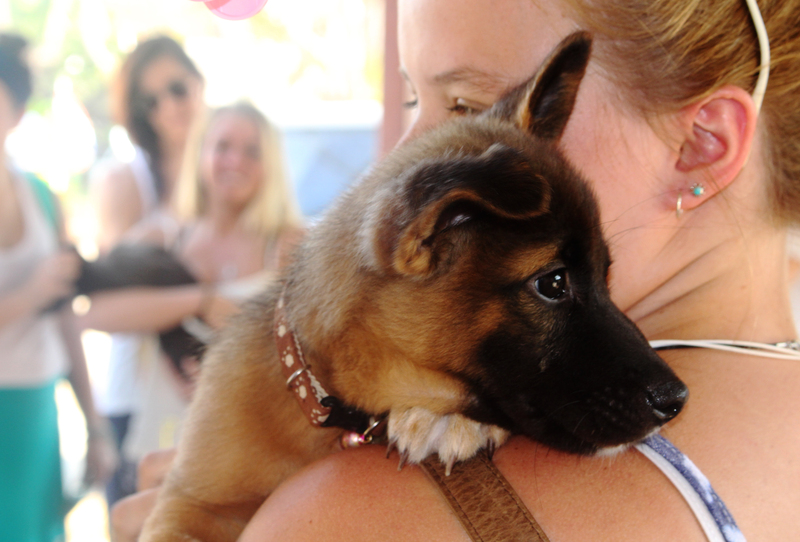 The foundation’s main goal is to heal, rehabilitate, sterilize and release strays back to their packs around Hua Hin. “As corny as it sounds, every day we witness miracles. 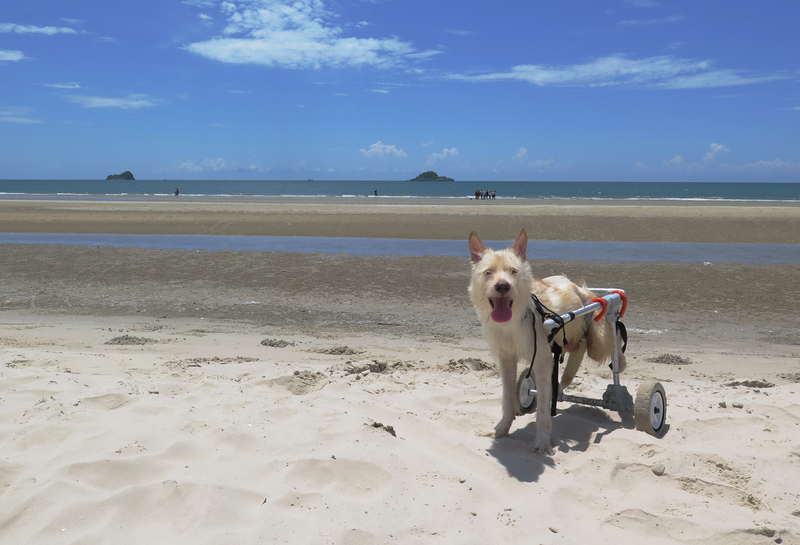 To watch a dog go from not being able to walk to running around on the beach, it’s absolutely incredible in a way that I cannot describe.” A prime example of this comes in the adorable form of Rescue Paws’ only permanent resident Sprite. Despite using a wheelchair, Sprite’s boundless energy and charisma wins the hearts of staff and volunteers alike. The foundation is also committed to educating the local community about animal care by reaching out to local schools and organisations. 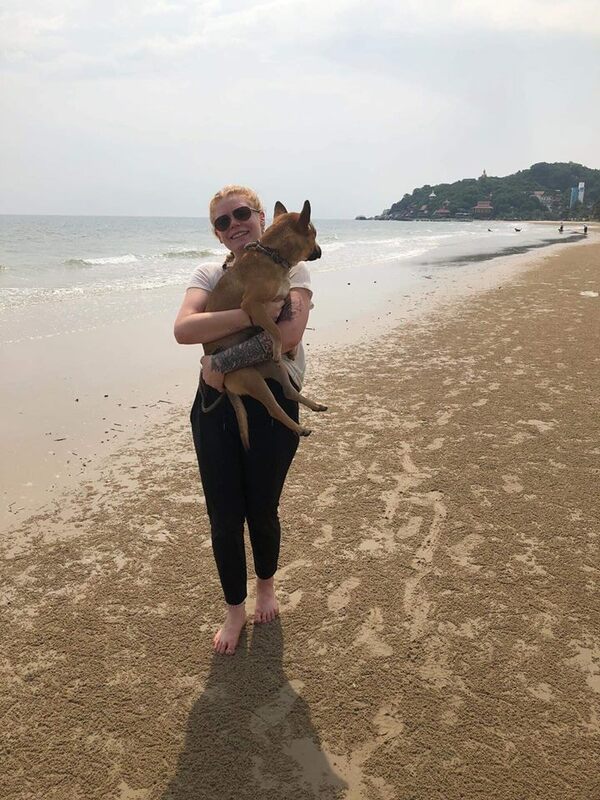 Rescue Paws relies on a team of volunteers and are always looking for extra hands to help feed, care for and play with the dogs, so there’ll be plenty of opportunities to volunteer abroad with the organisation whilst you’re in Hua Hin earning your TESOL qualification. As Jayne says, “If you only have a couple of hours to spare, we can totally use all the help we can get when it comes to taking our dogs for walks along our beautiful beach.” You’ll also get the chance to visit during the orientation week to meet the team and get a taste of what it’s like to volunteer abroad with animals at the foundation. 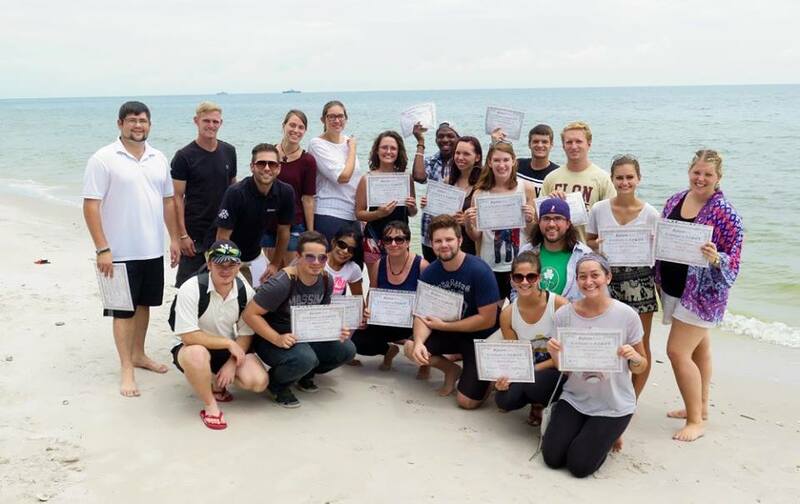 Even if for some reason running along the beach with a bunch of dogs isn’t your thing, there are plenty of other things you can do to help the team out whilst studying for your TESOL qualification. 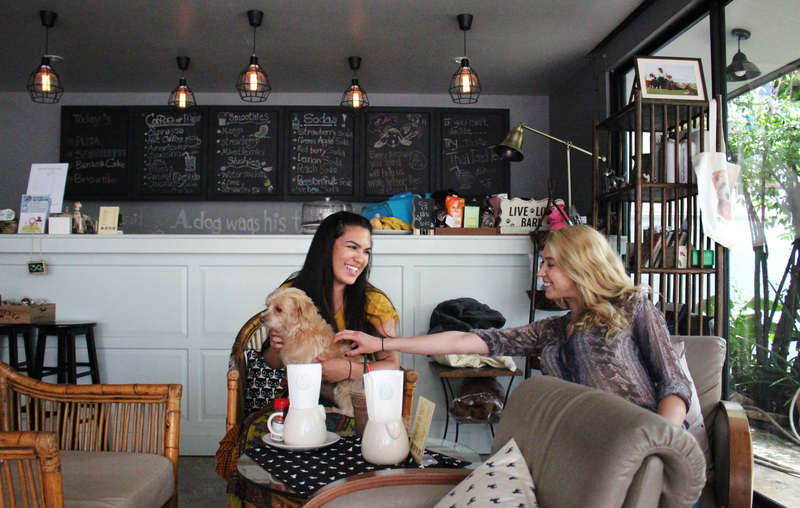 All the profits from Wagging Tales, the café at XploreAsia HQ, go directly to Rescue Paws so whenever you stop by to pick up a refreshing watermelon slushy or an energising Thai iced tea between classes, you’re making a real difference to the lives of strays in Hua Hin. In fact, the money from your morning coffee provides one whole meal for a rescued pup. 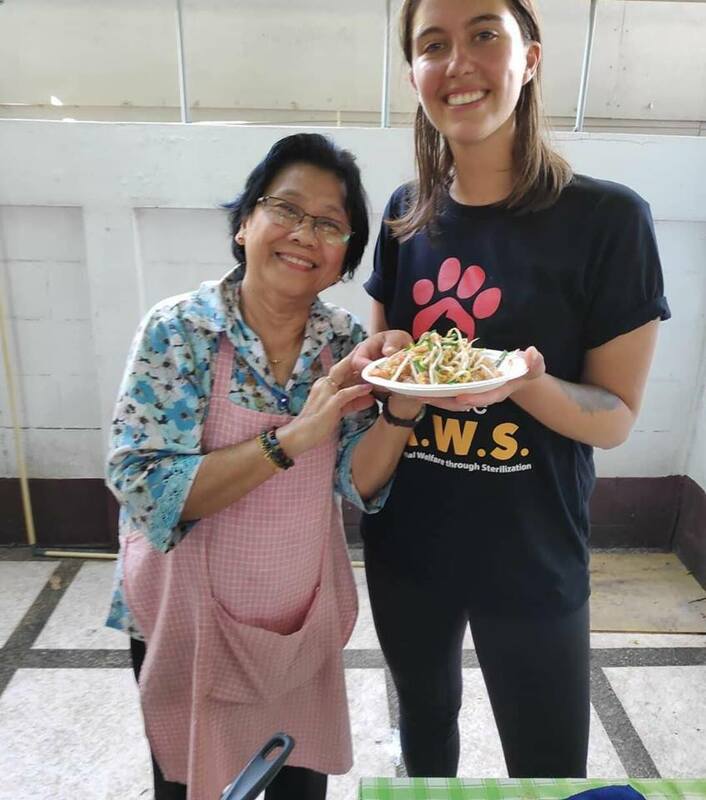 During your training, you’ll likely be eating a lot of freshly made lunches at the café and the fact that you’re making a huge difference to stray animals’ lives makes every bite taste even better. Everything adds up. Five cups of coffee pays for one vaccination, ten of their delicious smoothies adds up to one bag of dog food and twenty lattes provides one sterilisation to help reduce the number of dogs being born on the streets. Whatever your schedule is, just by hanging out with your new friends at our cosy café makes a huge difference to animals in need. 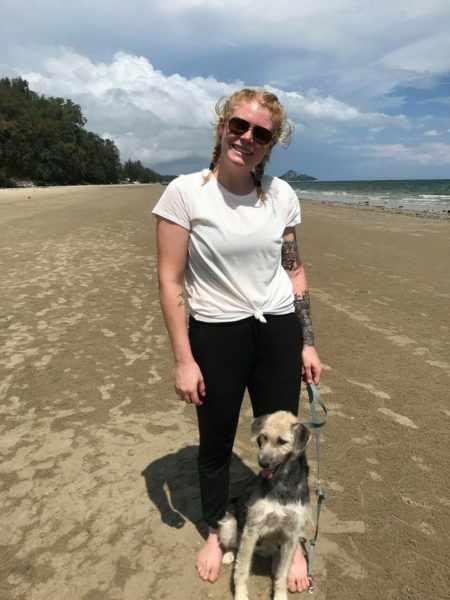 Head over to Rescue Paws’ website to find out more information about how you can volunteer abroad or to find out how you can make a difference to strays in Thailand whilst you’re studying for your TESOL qualification in Hua Hin. Accumulation of waste across the world is a clear issue, and yet not nearly enough is being done to tackle this problem. Our incredible Program Coordinator Krissy started an amazing project to minimize excess waste. Through her actions, our TESOL course participants have had the chance to actively make a difference in keeping our environment clean. At XploreAsia, we also seek to raise awareness on the issue through selling Trash Hero water bottles and offering free refills of water. 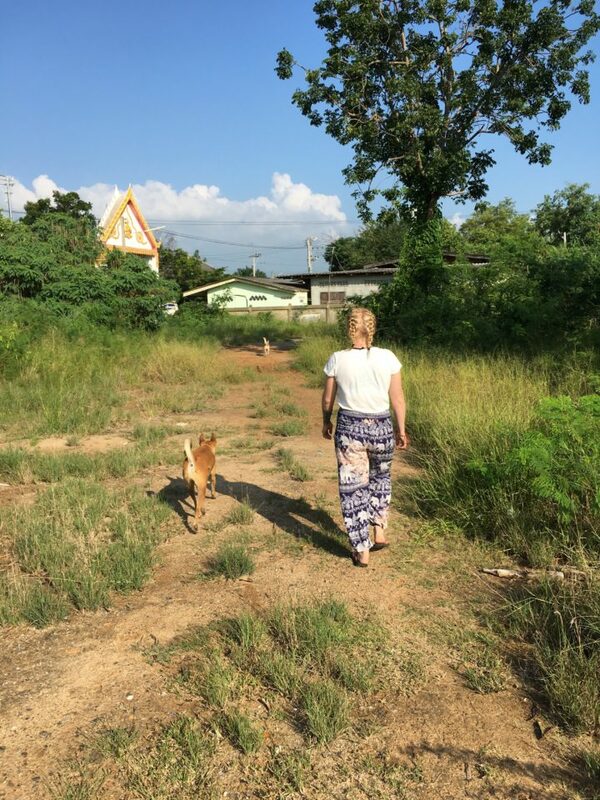 Check out Krissy’s story of how she became involved with Trash Hero and the difference that the organization makes in Hua Hin, Thailand! What is Trash Hero and what does the organization do? Trash Hero is an organization dedicated to sustainability and waste management education within local communities. 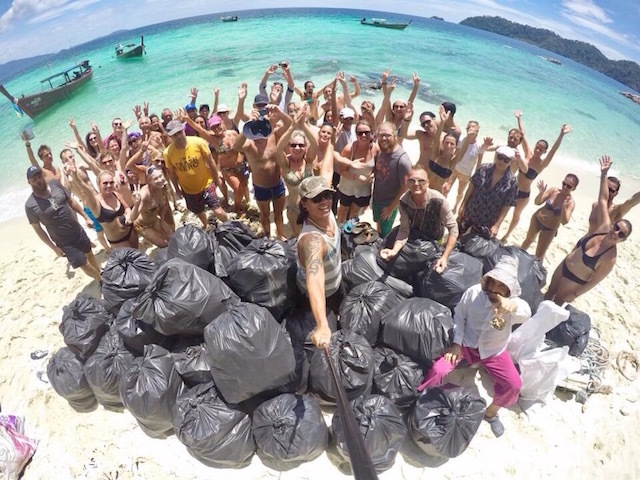 The first Trash Hero chapter started in Koh Lipe and has since grown to multiple locations throughout Thailand and abroad. They are multifaceted in what they do, and it is very easy to get involved. Their first goal is to simply clean local areas and encourage other locals to do so through leading by example. Most, if not all, chapters have a Facebook page that advertises where and when the weekly cleanups will be held. The second is to encourage local businesses to get involved with the Bottles and Bags program. Local businesses can order stainless steel water bottles for 100 baht a bottle and sell them for 200 baht. The caveat is that they must provide a water refill station for any person who has a Trash Hero water bottle to refill for free. The bags are another great aspect to the organization because Thailand has an interesting view when it comes to plastics. Plastic is regarded as an endless commodity with little thought to what happens once a person is done with it. Bringing a reusable bag with you to the shop will prompt funny glances, but again, it’s the ‘lead by example’ mentality that is slowly making headway. How and when did you first become involved with Trash Hero? I can’t remember the exact time when I started working with Trash Hero, but I know the reason. I had recently returned to Thailand after a short trip home, so probably around May 2016. I lost my stainless steel water bottle somewhere and turned to the internet to see where to buy one in Hua Hin. The thing is, you can’t. Stainless steel water bottles are like the unicorns of Thailand, they just don’t exist. But I persisted, I typed in other locations and search words until I stumbled upon the Trash Hero website, specifically the Bottles and Bags program. I read through the information and scoured the website to see if there was a place close by to purchase a water bottle. To my surprise, they had a chapter in Hua Hin. So I looked them up on Facebook and went to their next scheduled cleanup. The rest is history as they say. How would you describe the impact that Trash Hero has made so far in Thailand? 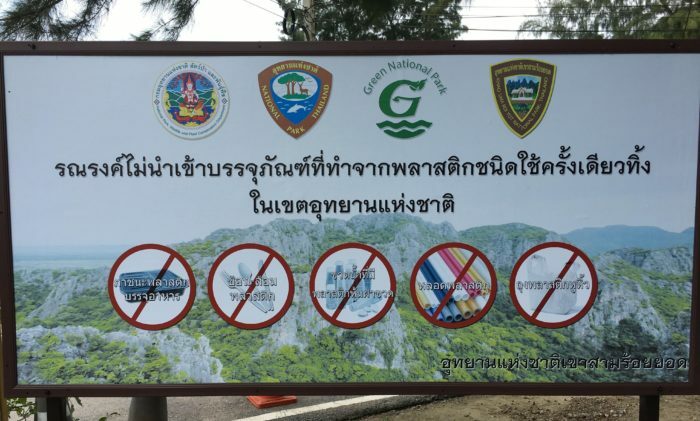 Trash Hero has made a huge difference all over Thailand. Most of the chapters are in the southern parts of Thailand with one in Bangkok and another in Chiang Mai. But if these volunteers didn’t come out to pick up rubbish every week, who would? Some beachside hotels are responsible for cleaning their section of the beach, but what about the other areas that fall outside the scope of those establishments? That alone can make a huge difference. 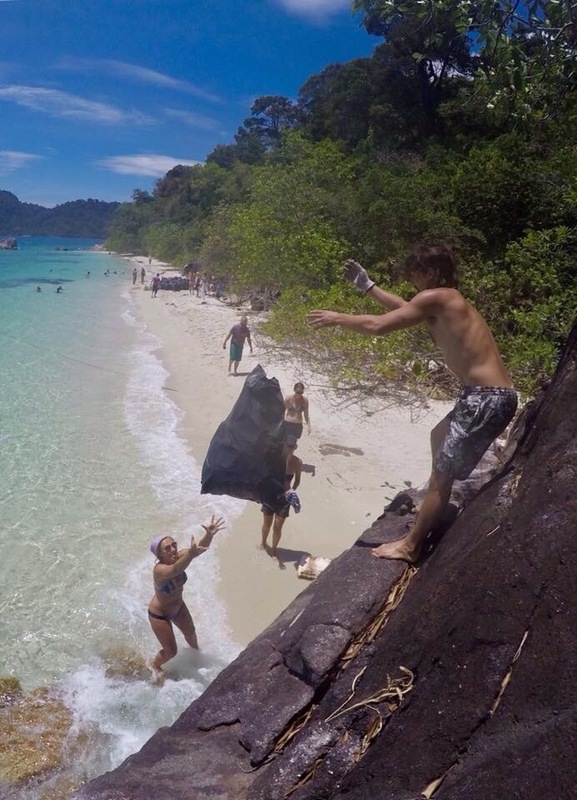 Trash Hero removes hundreds of kilos of trash from the beaches up and down the coastline and on the islands. Chapters have even started on other parts of the globe. What differences have you made personally in your daily life and how has XploreAsia helped with your involvement in the Trash Hero cause? 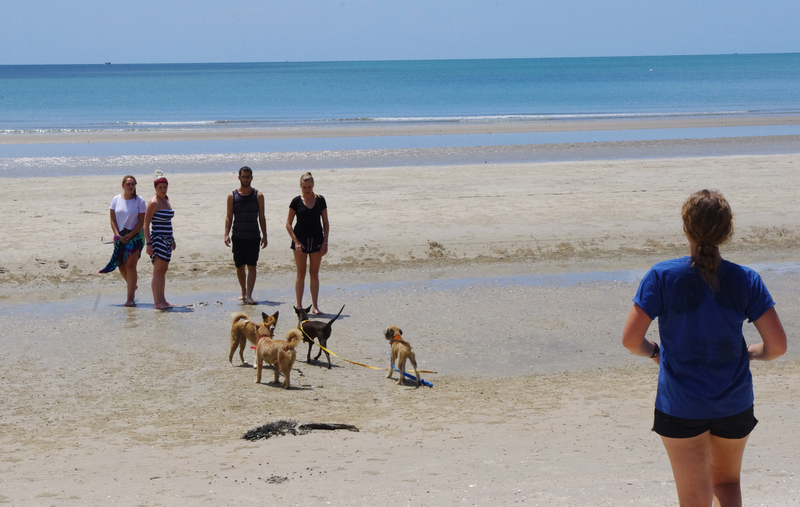 I personally volunteer many Sunday afternoons to Trash Hero and help to clean the beaches here in Hua Hin. I’ve also assisted in establishing a relationship between Trash Hero and XploreAsia. Wagging Tales is now one of the businesses taking part in the Bottles and Bags program offering stainless steel water bottles to our teachers and the community. With this expansion in sustainability mindfulness, Wagging Tales also offers lunch to participants during their course for purchase. Initially, lunch was served in single use plastic containers. I’m proud to say that Wagging Tales has since switched to serving with reusable plates and silverware. We hope to continue this relationship and have our teachers help us to spread the message of sustainability into their placement communities. 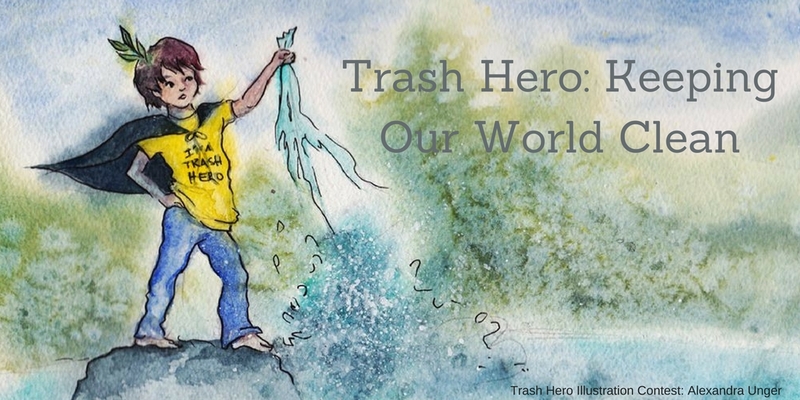 How can we get involved with Trash Hero and make a difference in helping to protect our environment? The best way to get involved with Trash Hero is to look them up online and find a location to volunteer at near you! Then look at that chapter on Facebook to find out the exact location of meet-ups. You can also start trying to reduce your waste by getting a stainless steel water bottle, reusable bag for shopping, containers to bring with you to take-away shops, and just saying ‘no’ to straws! A little goes a long way and leading by example is always a plus too. Thank you so much Krissy for dedicating your time and resources to such an amazing cause! We truly value and appreciate the inspiring difference you are making in our community. You define leading by example, and we know that your efforts and the hard work of many others will bring about great change in keeping our environment clean. We are always eager to discover new ways to make a difference in the community: what inspires you to make an impact in our world? Are there any local causes that you are passionate about sharing with others? How do you make a difference in your own community? Ready to start your own adventure teaching abroad? Check out some of our incredible programs here. At XploreAsia, we not only provide our participants with incredible teacher training and placements, but we also strive to make a true difference as an organization. We believe in creating change in our local community, and through our actions, we hope to inspire others to make a difference in their own local communities. 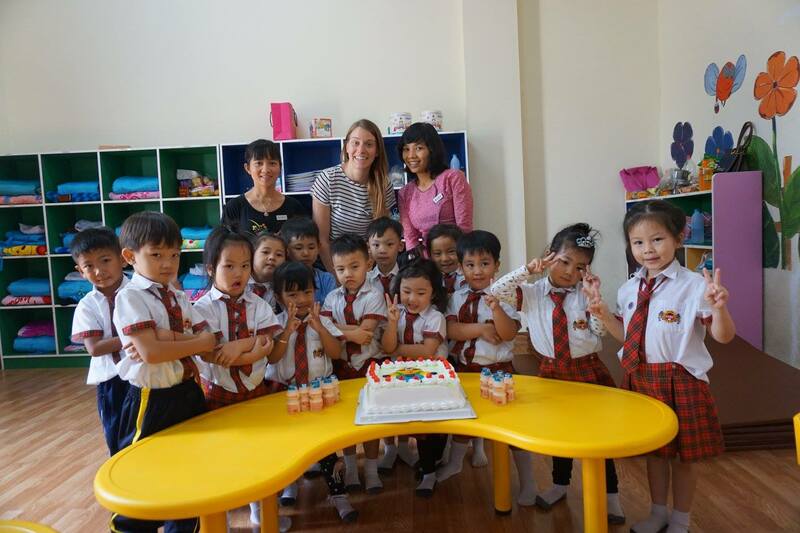 One of the wonderful organizations that we support is the Pala-U orphanage in Petchaburi, Thailand. 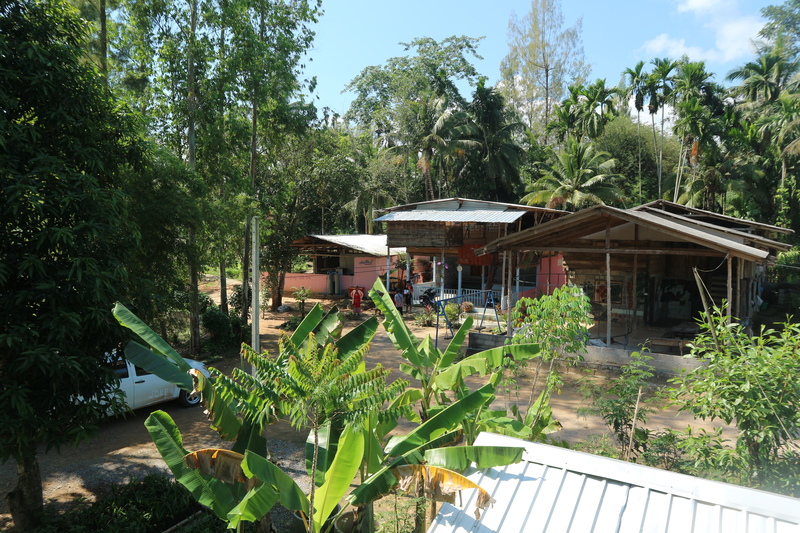 Located roughly two hours away from Hua Hin, the orphanage is home to 24 children and is growing every-day. Here, we talk with one of our XA directors Paang on how XploreAsia has been making a difference at the Pala-U orphanage. Could you tell us a little more about the Pala-U orphanage? 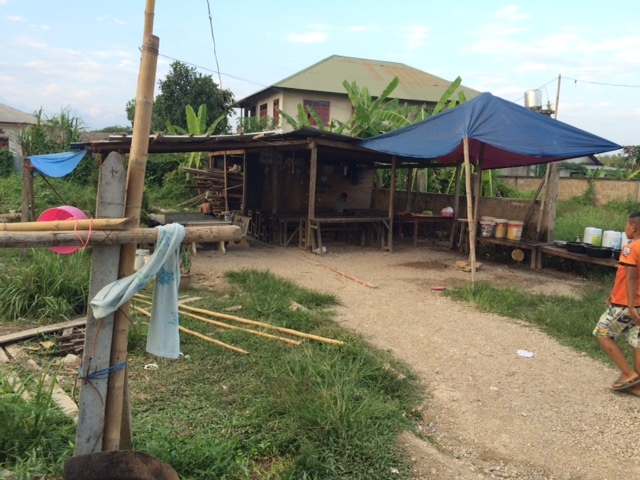 It was founded around 12 years ago and the person who runs the orphanage is a Karen-Thai national. He started fostering [children] when he was only 19 years old. In the beginning, he adopted one child while he was a volunteer teacher. Then, he met another kid who was a really good student but could not afford to go to school and had no relatives that could take care of him. He adopted the boy and just kept going. Within a year he had 7 kids in his care. Now there are 24 children: 14 boys and 10 girls. The youngest one is 8 years old. The orphanage is not funded by any government institutions or private organizations. There are other private groups that have tried to help them but they haven’t been able to provide stable support. It is located in the west of Thailand, about 1 hour 40 minutes from Hua Hin. 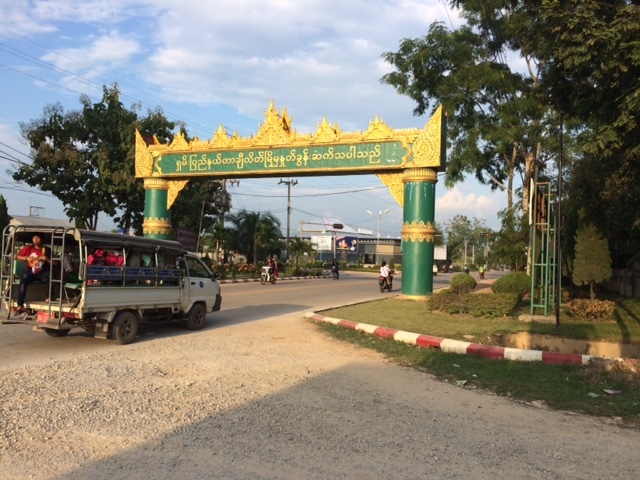 It is in the remote area in Pa Deng village in Petchaburi, close to the border of Myanmar. How did you become involved with the Pala-U orphanage? 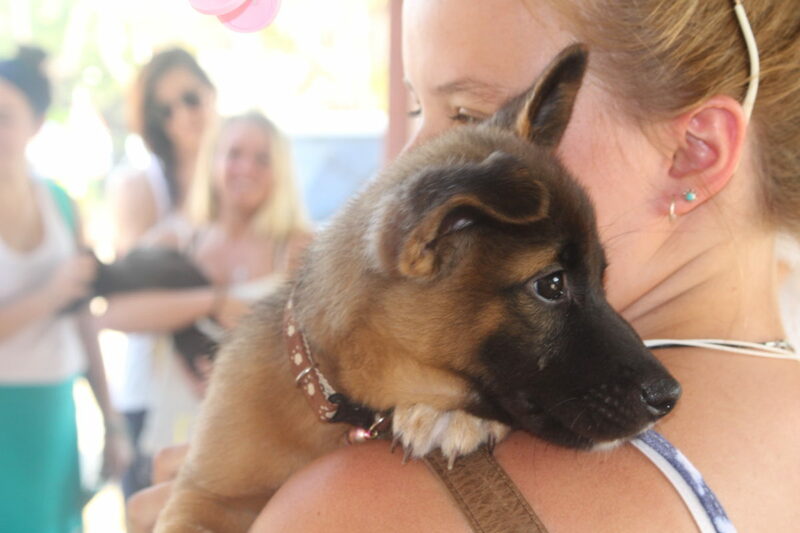 We contacted the orphanage 3 years ago about adopting puppies from our Rescue Paws project. 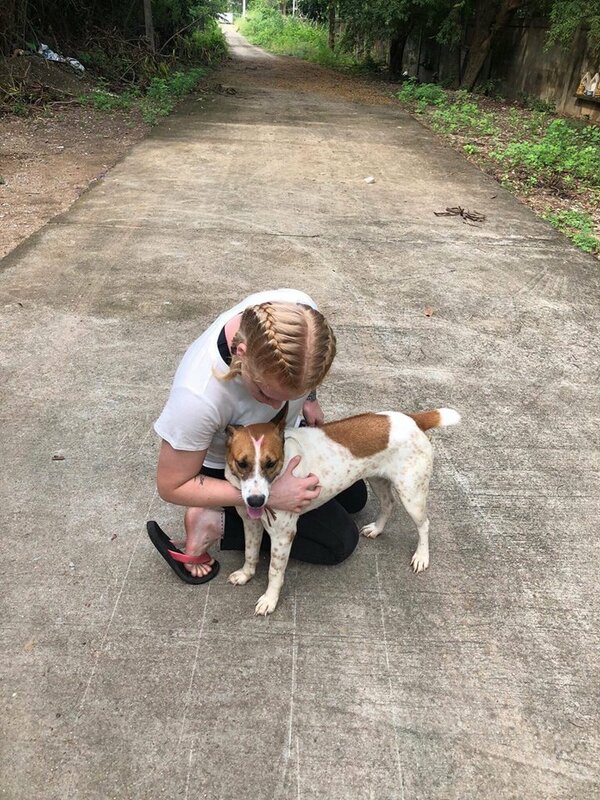 Through our staff at Rescue Paws, we found that they were interested in getting some dogs to protect the properties and also to be pets for the children there. We went there to give supplies of dog food to them and we found that the place needed a lot of help. 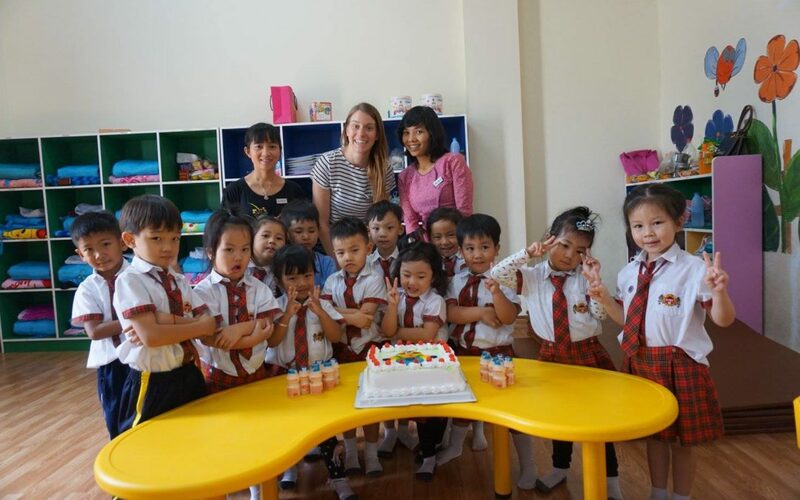 How does XploreAsia support the orphanage now? We donate things that will help them sustain the orphanage in the long term. We sponsor the mushroom growing project and donate plants (Durian and other fruits) so they can grow food and could sell them if they have more than they need. We visit the orphanage at least once a month and keep in touch by phone. We support them in several ways. We try to promote the orphanage by bringing our participants to do activities with the kids. We organize English [lessons] so they can learn English and promote their social skills and gain confidence through interaction in the activities. Mike and I have also been donating money and supplies regularly as well as taking care of the medical expenses for the youngest child that has leukemia. Can you tell us more about the little boy with leukemia? Tou Tou is a Karen kid from the border. He doesn’t have a nationality (no citizenship). He came to the orphanage as a 3-year-old, brought by one of the leaders of the local villages there. His mother passed away in childbirth. Tou Tou has never seen his mom. He has Thalassemia, a genetic condition, from his parents and he was diagnosed with leukemia three years ago. He needs to go to the hospital in Hua Hin twice a month for a check-up and a blood transfusion. We pay for his medical bills so he can continue to do so. What are some of the ways that we can help the Pala-U orphanage? There are several ways to help this orphanage. As a volunteer, you could teach them English. You could help them by teaching some skills that they could use to sustain themselves: how to make crafts or bake, even how to use a computer or create websites. You could help build the common areas and accommodations. You can volunteer there on a regular basis. However, just keep in mind that the space to stay there is limited because they don’t have a lot of available rooms. Also, most kids there go to schools during the day except in school break. You can stay in a place nearby. The area is quite small but very beautiful, and they do sustainable farming. 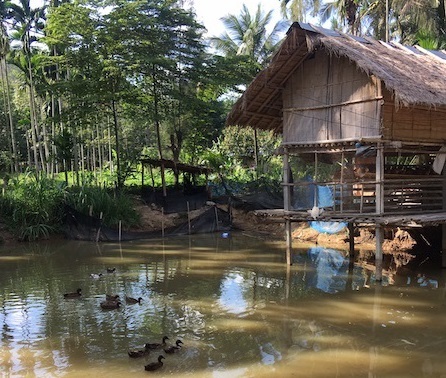 They grow vegetables and raise cows, chicken, and ducks. It is a simple life surrounded by nature. Thank you so much, Paang! The work that you do with the Pala-U orphanage is truly inspirational. There are countless ways that you could make a difference at the Pala-U orphanage. The children at the orphanage depend on the help of volunteers and donors like you to receive educational, nutritional, and medical support. Please consider joining XploreAsia in reaching out a helping hand today. For more information on how you can make a difference for the Pala-U orphanage, contact us directly at m.volpe@xploreasia.org. We would love to chat with you! Are you ready to make a lasting difference teaching English abroad? Consider signing up for one of our incredible TESOL courses and teaching programs today! At XploreAsia we believe that small changes make a big difference, and leaving a positive impact in the local community should be the cornerstone of every successful organization. Giving back always feels good. XploreAsia proudly supports several non-profit organizations. We actively encourage our employees and participants to take part in various volunteer opportunities close to their hearts and make a positive difference wherever they are. Here is part 1 of a series of stories and advice from our staff about the volunteer work that they have done, and continue to do. If you feel inspired by these stories we will be happy to give you more information and suggestions on volunteering in South East Asia. 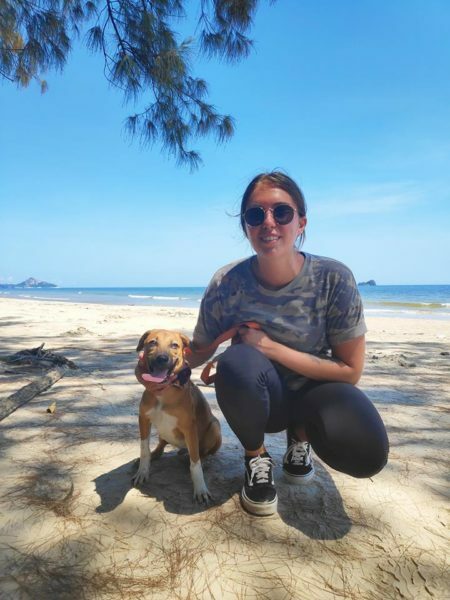 RESCUE PAWS has been the centre of XploreAsia volunteering activity for years, as stray dogs are a huge concern not only in Hua Hin, but in Thailand in general. This is an issue that needs a lot of attention and is close to the hearts of many of our team. Our Senior TESOL Instructor, Jaco, is one of the founders of Rescue Paws. 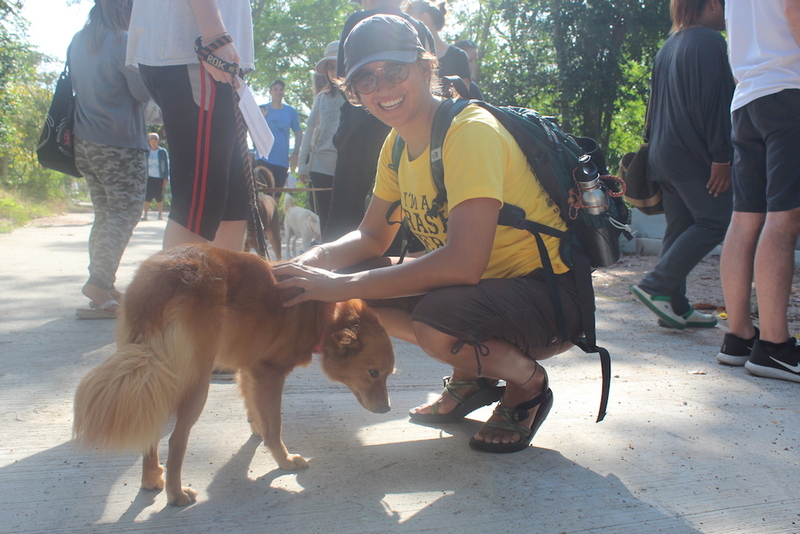 We are grateful for all of his work and dedication towards making a difference in the lives of street dogs in Hua Hin. How and why did you get involved with Rescue Paws? I arrived in Thailand in 2010 on Koh Samui. There I saw the plight of dogs in Thailand, and rescued my first dog. When I moved to the town of Hua Hin, I realized the extent of the problem was much larger. I had many stray dogs in my immediate area that I started to feed. In October 2013, The Global Work and Travel company owners came out and they also saw the huge problem we were faced with. Hundreds of street, and beach dogs. Together, both organizations started a fund to feed these dogs. 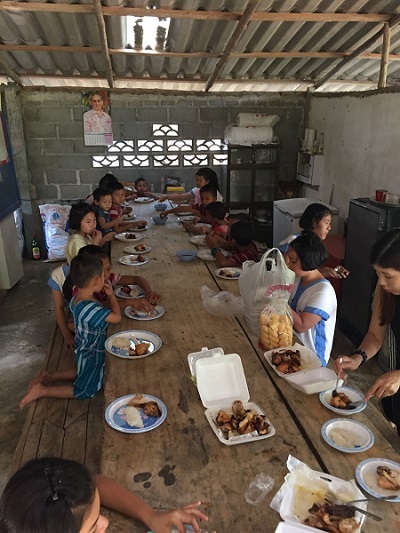 We went out with XploreAsia students and found even more packs to feed. 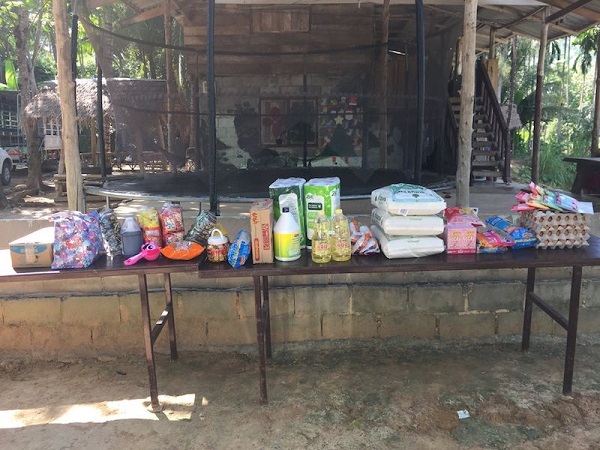 Almost immediately we noticed the difference that was being made, and they along with XploreAsia donated money to build 12 kennels and equip a very basic clinic. 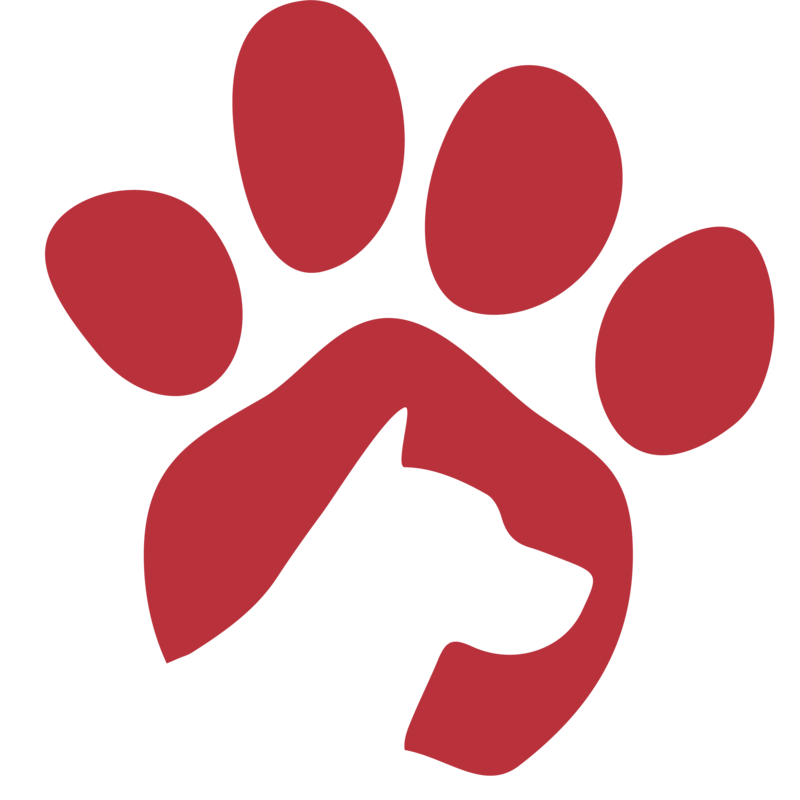 What are the main activities/operations of Rescue Paws? 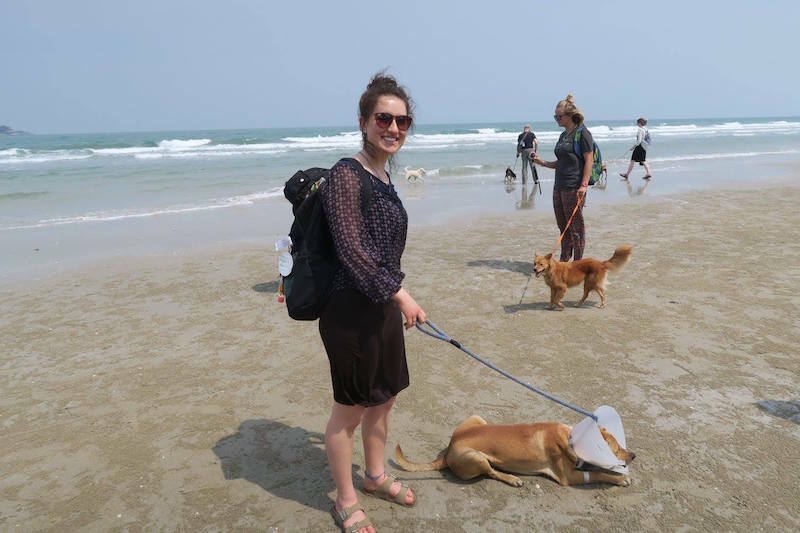 The mission for Rescue Paws is to over time get the beach, temple, and street dog population under control. We hope that in time we will see a decline in the stray dog population. Our motto is sterilization, vaccination, and education. It does not matter how many sterilizations we do, we need to educate the nation before we will see a real decline in numbers. Apart from all the wound care, parasite treatment, vaccinations, cancer treatments, and deworming we do, we also go to schools and into the community to educate the locals on proper animal welfare and the importance thereof. 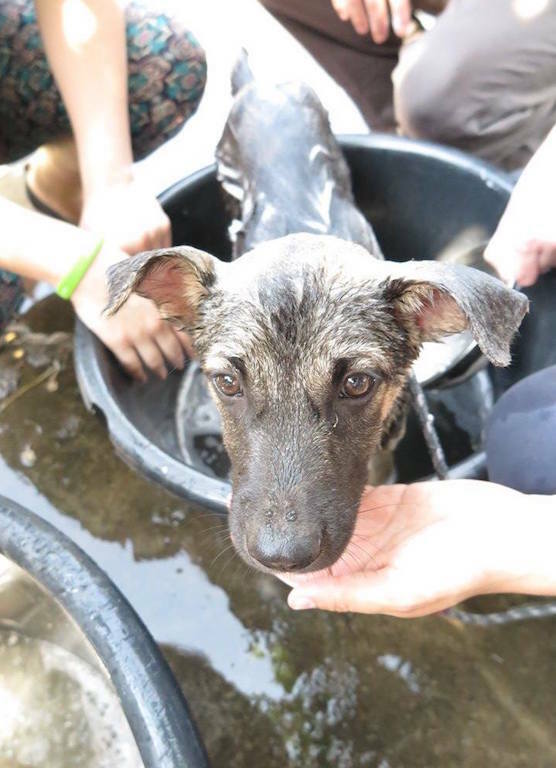 What difference has Rescue Paws made to the lives of street dogs in Hua Hin? 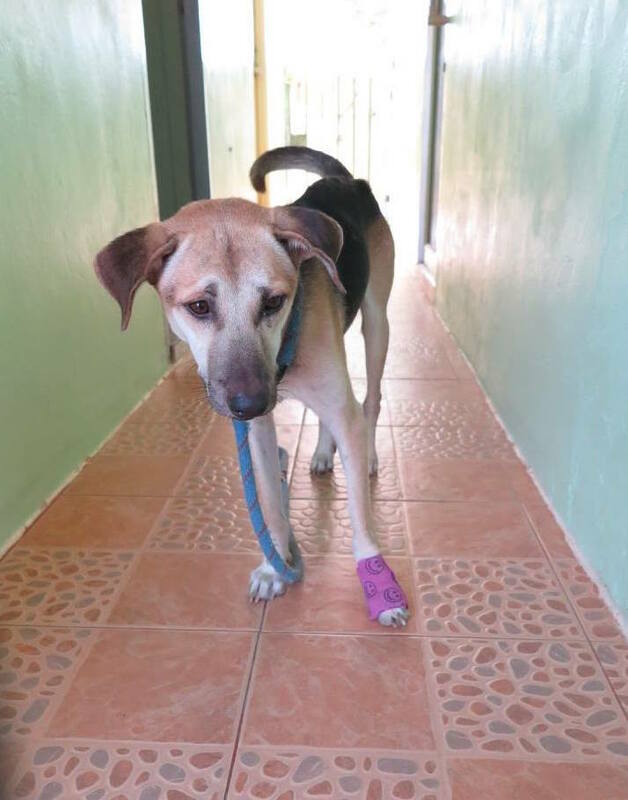 Even though the decrease in street dog population and improvement in their health is a slow process, Rescue Paws has made a dramatic impact in the last 4 years. 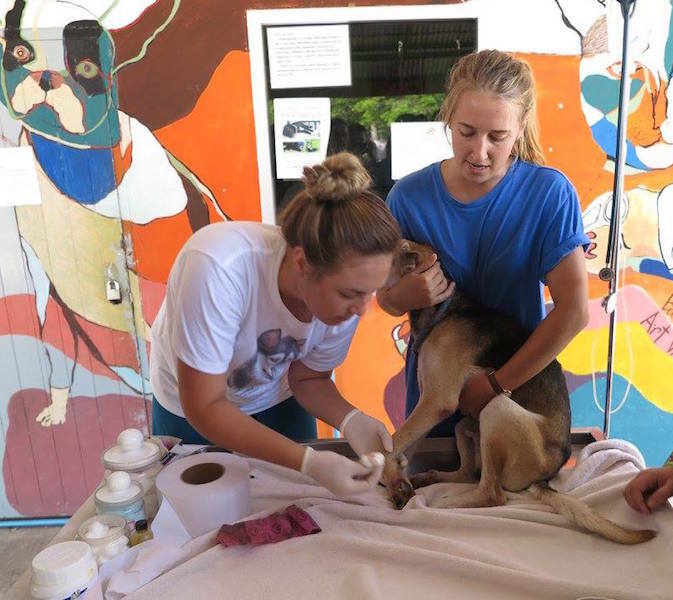 Since opening their doors, they have given over 3500 vaccinations to prevent future sickness, provided over 766 sterilizations to prevent future street dogs, and performed over 14,000 other medical treatments that have saved lives of many street dogs. 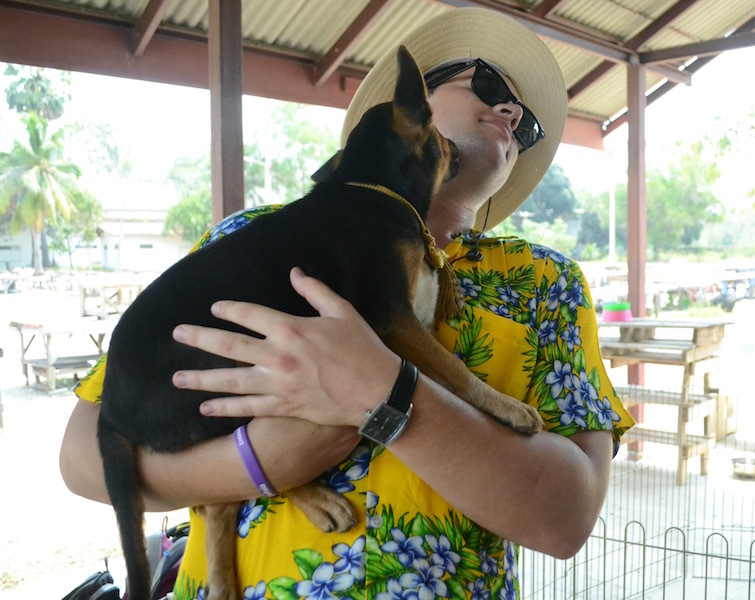 Additionally, Rescue Paws is feeding an average of 750 dogs a week, and have given 129 rescued dogs new homes. 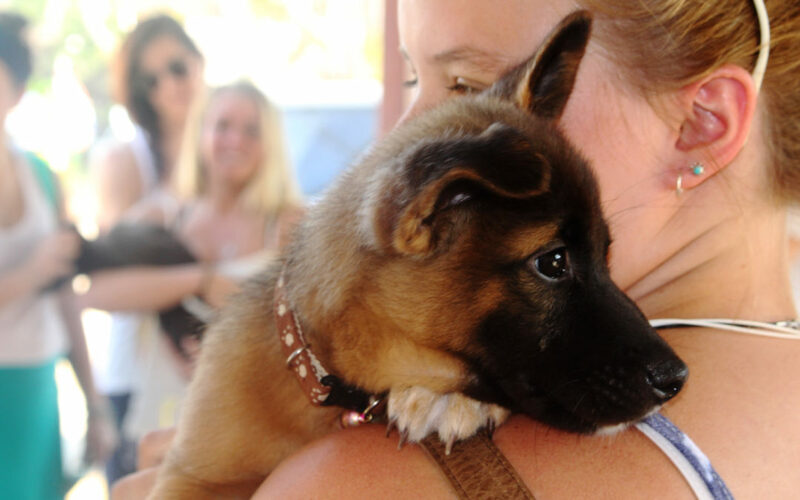 Could you share one of the most memorable moments while working with Rescue Paws. There are countless heart warming, and breaking stories I could share, but 2 of my favorite ones involve Milo and Katinka, 2 street dogs that I adopted while living in Hua Hin. 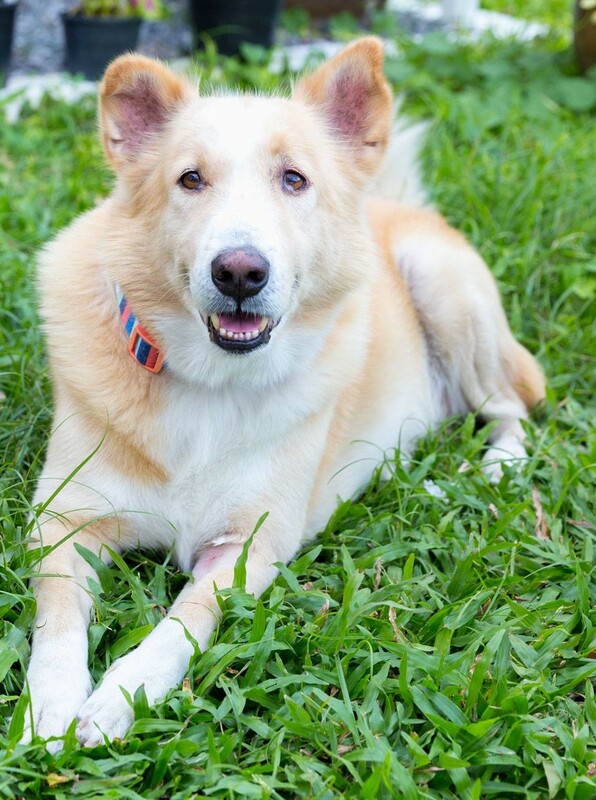 Milo was a poisoned and paralysed dog that suffered from major neurological issues. He was with us for 6 months in the kennel and got healthy through continuous massages, assisted walking and aqua training in the ocean. Katinka was found upside down in a drain. She was also poisoned. She was fully paralyzed and blind. Also, through the continued efforts of Rescue Paws she has recovered and is living with me. How can others help and make a difference? There are so many ways people can help. It could be anything from liking and sharing our RescuePaws Facebook page, to adopting a dog and donating money. 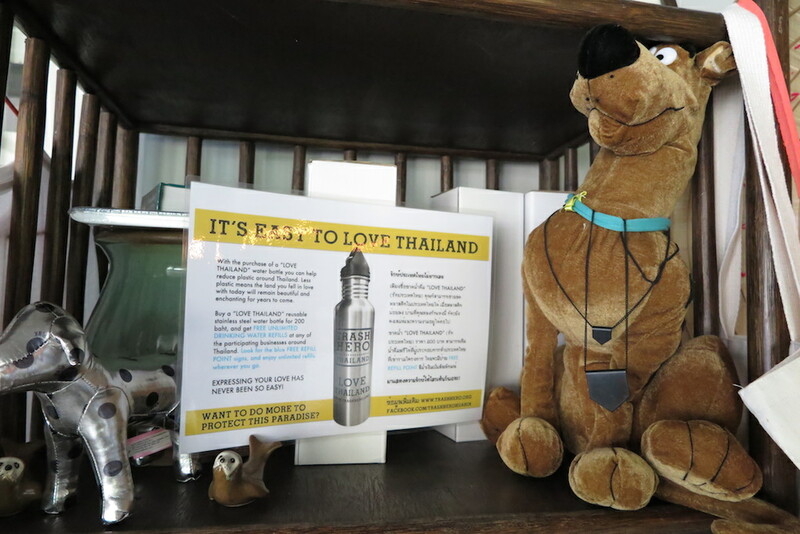 Every little donation helps and makes a big difference in the lives of street dogs in Hua Hin. To get more information and ideas how to help, have a look at Rescue Paws’ home page. 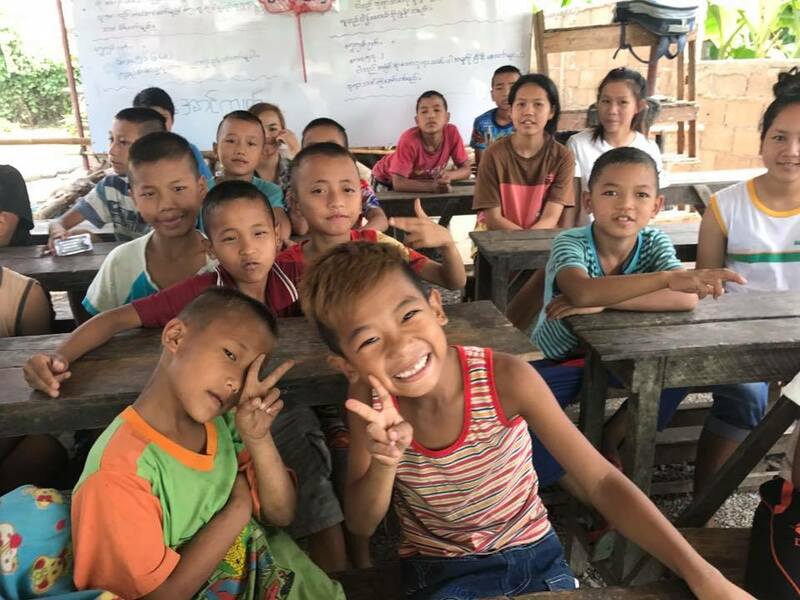 Additionally, there are countless Volunteer opportunities in all different parts of Asia and if you are interested, XploreAsia can help you find just the right one for you. Get in contact with us and we would love to chat with you more. Have you ever wondered if you can actually make a positive difference as an English teacher abroad? We are so proud to bring you the story of Jazz McClure, an XploreAsia alumni who truly embraced an opportunity to make a change in her students lives, and took getting involved in a community to another level by planning, rehearsing, and performing a musical with her students! I got my TESOL certification this past October in Chiang Mai. Currently, I’m teaching at a secondary school in Isaan, in Sakhon Nakon province. My semester has been rigorous, but I’ve loved it. This is exactly what I was looking for in coming to Thailand. I hold a bachelor’s degree in linguistics, and hope to pursue graduate studies, but I find myself teetering on my options (a career in ESL being one of them). I wanted to get a feel for this line of work before jumping into my masters. Yet after this experience, it feels right to continue teaching abroad for a while. I’m leaving Thailand after this semester though, and am going to look for work in Korea. What inspired you to do the musical? Have you done something similar before? Yes! I was heavily involved in the theatre when I was in high school. So from the minute I got here I had been looking for ways to get involved with the students musically. But after failing to find any type of choir or music club, I started to feel like there just wasn’t an opportunity. Thank god for Fallon, though. Hailing from the UK, she’s another new teacher who also comes from a theatre background. One Friday night, over a few cold ones on our balcony, we hatched this hazy idea to do our own musical. The veteran teachers said the kids would love it, and suggestions began spilling from all of us faster than we could keep up with. I went to sleep that night with my brain swirling in ideas, hoping that we could somehow pull this off. The cheerleaders, who even choreographed their own cheer for the show! How did your students and fellow teachers react to the activity? Where they excited straight away, or did it require some convincing first? Oh, I’m laughing as I write this! Let’s just say that musicals are NOT a thing in Thailand. So yes, the idea required a lot of convincing! I think the concept of singing and dancing to songs that are a part of the story was strange to them. We actually had to go into our classrooms and pitch the show to the students, telling them they would get extra credit if they joined. At first, they seemed so unenthused, but after one or two students said they’d do it, more and more kept running to the office like, “Teacher! I want to do the musical too!” That went on for weeks! Can you elaborate on what the activity consisted in? Who was involved in the planning and execution of the process? After weighing our options, we decided to do a simplified version of High School Musical. 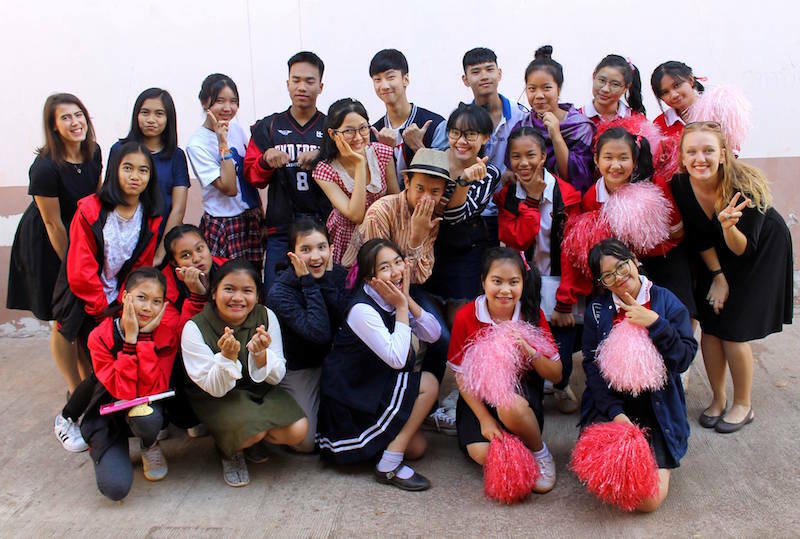 The songs are easy, the English is reasonable, it appeals to a young audience, it teaches students about the culture of their American counterparts, and the kids could wear their own clothes for costumes (hands in the air for a $15 production!) Yet even with a simple story, getting it all together was not easy. We wrote a script, cut songs, added songs, played with harmonies, and held auditions. I made a proposal to my boss, who translated to the higher powers and asked if we could have stage time for rehearsals. I think he was cynical at first about being able to pull the show off, but once he saw how invested the students were, he was incredibly supportive, and even started coming to rehearsals to watch. How often and when did you do the rehearsals, and how did you manage to find extra time? We started practicing at the end of November, and just performed the show on Valentine’s Day. When classes were cancelled for things like Sports Week, we’d have big group rehearsals. For the main characters, we practiced mostly during lunch, or whenever they had free time. Sometimes, it was when they came running to the office with lyrics in hand and only 10 minutes to spare! After we could run the whole show, we started rehearsing on the stage after school. We usually stayed for about an hour 3-4 nights a week. How do you think this has made a difference in your students’ lives? The three M6 students in the show. They were really glad to so something like this the year they graduated! I think it’s made a huge difference in their lives. First off, it must be hard for them to build relationships with their foreign teachers. 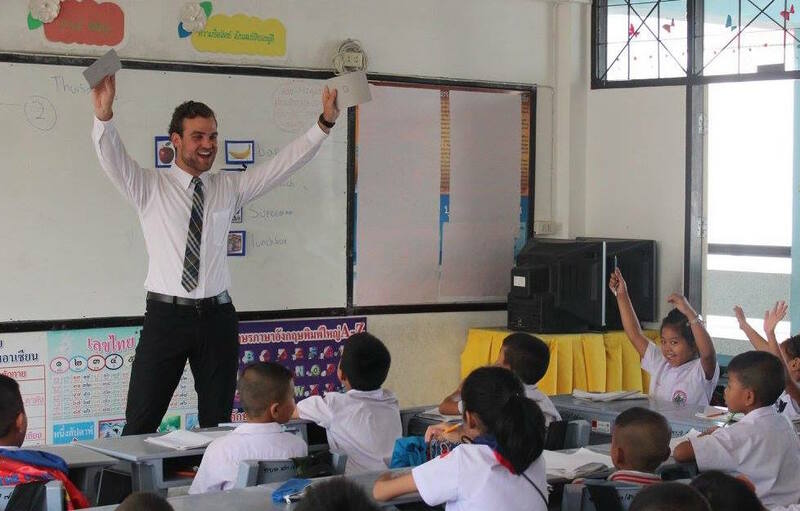 The Thai school system usually sees a new foreign teacher every semester and, since the students are shy, having a stranger in the classroom every six months must be challenging. The musical was a good way for them to shake their shyness and feel comfortable with us. It also was our way to show them that we cared enough to spend an extra ten hours a week with them! Bonding aside, the show forced them to speak a lot of English. They were exposed to new vocabulary, both about American high schools and about the theatre, and got to dabble in expressions that young English speakers use all the time. In what way did you see the difference and growth in your students throughout the rehearsals and after the performance? There is one student who envelops this the most. The M4 boy we cast to play Ryan was hesitant to accept the role; he didn’t think he was good enough to play the part. Even during rehearsals, he was always doubting his capacity. Fallon and I were always encouraging him, and that combined with unwavering support from the other students helped him have some faith in himself. As we neared the end of rehearsals, he and the girl playing Sharpay were stealing the show! Every time we did a run-through, they would add some new pose or reaction to different scenes, and by the time we performed, some of the funniest things in the show were things Fallon and I didn’t even stage. Seeing our Ryan so uplifted by his friends and watching his development into this super awesome character filled me with unspeakable pride. 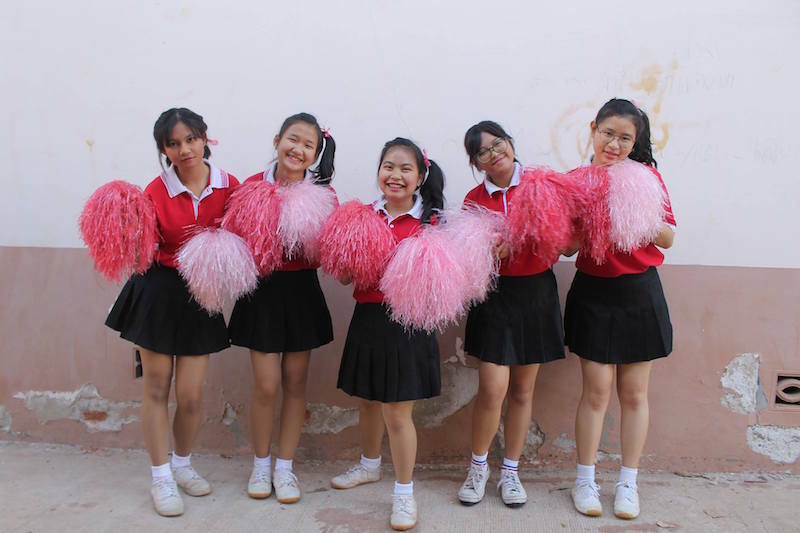 Check out this inspirational video that Teacher Jazz put together of High Thai School Musical! Would you like to do this again? Would you encourage other teachers to do something similar? Yes, I would. It was the unrivalled, absolute best part of my time here. And yes, I suggest other teachers do the same! I know it’s hard when there really isn’t a process to start your own activity at the school, but if you’re passionate about it, the Thai teachers will see that and they will help you. They want what’s best for the students, too. When we were finished with the show, they kept thanking us for taking time do to that with the kids. My advice is to find something you love and try to share it with them. There are so many things that would resonate with these kids: a sports club, an art club, a chess club, a theatre club, a glee club…even an anime club! If you can find your fit, you’ll amplify your relationships with your students and see how truly awesome they can be…and maybe even convince them of their own awesomeness, too!